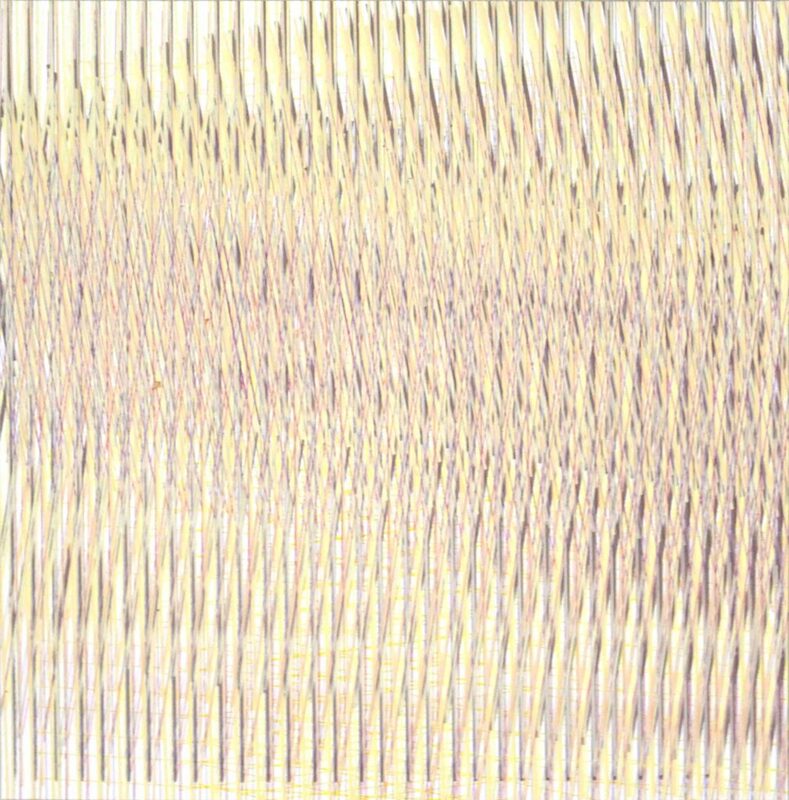 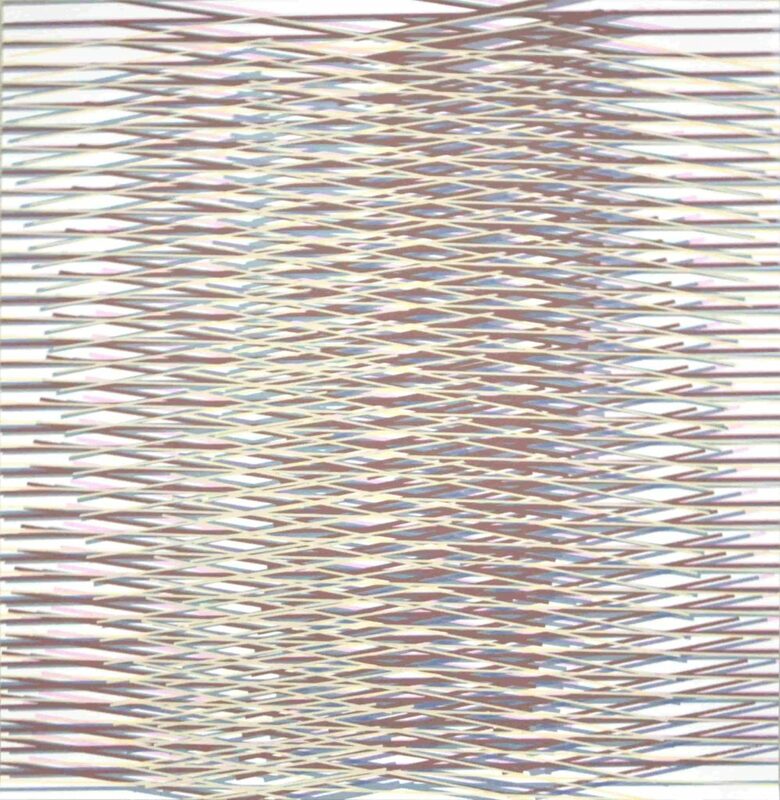 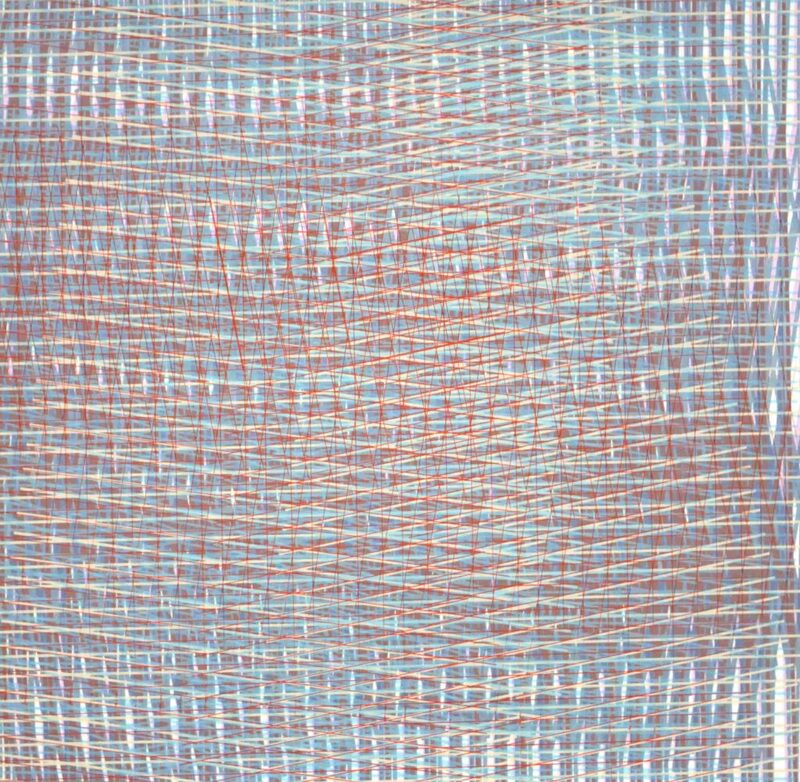 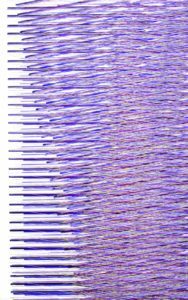 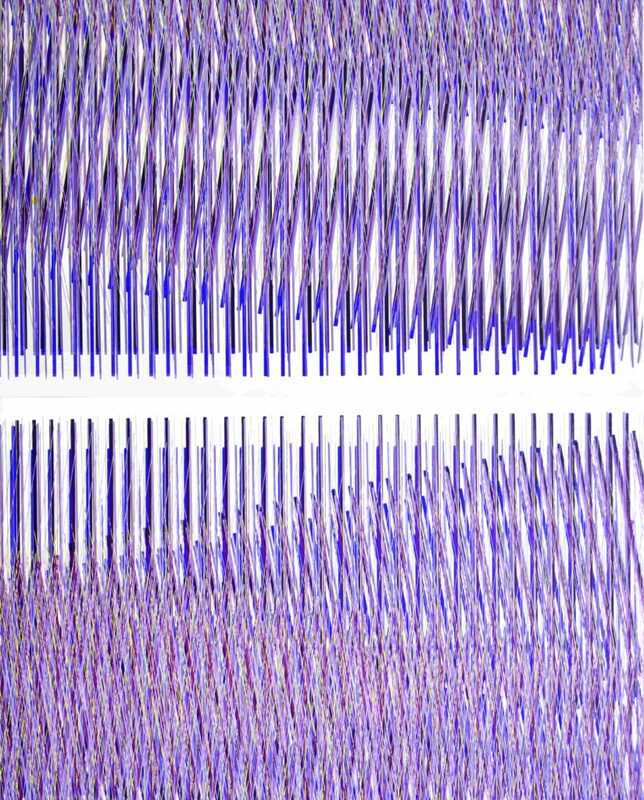 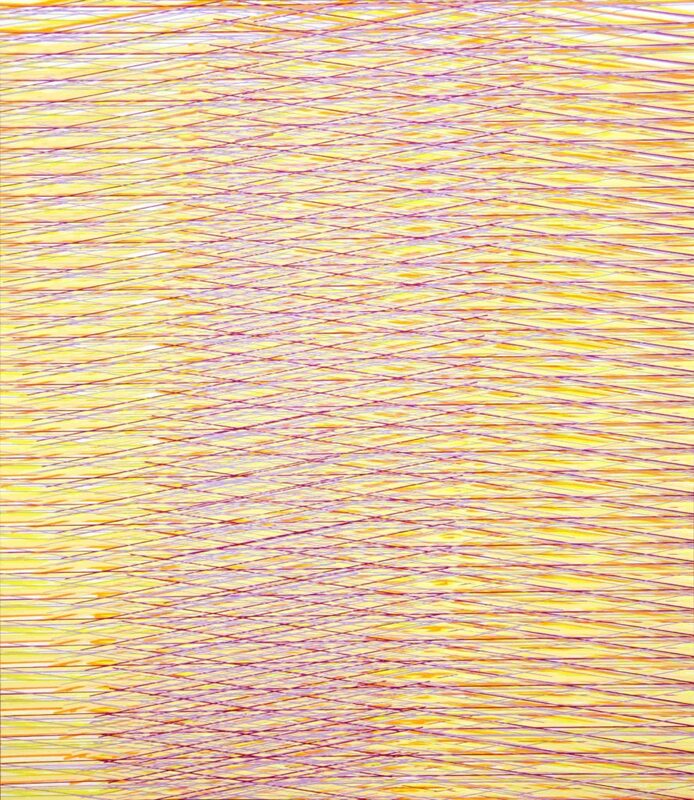 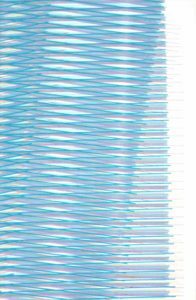 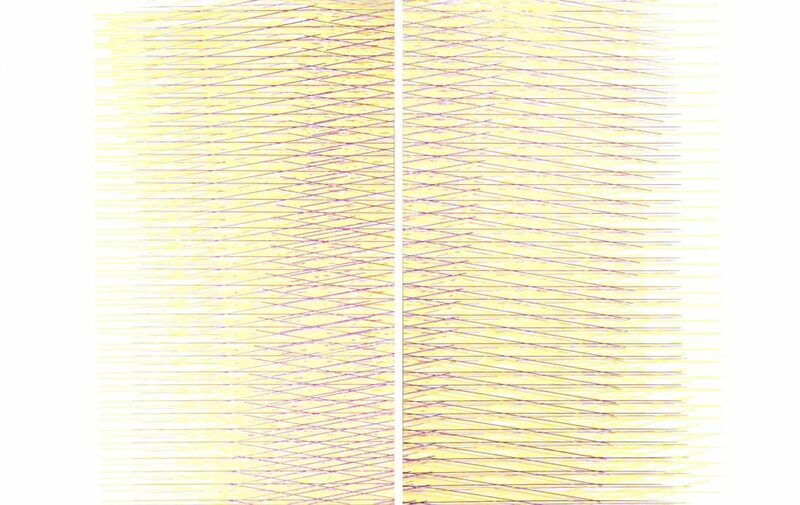 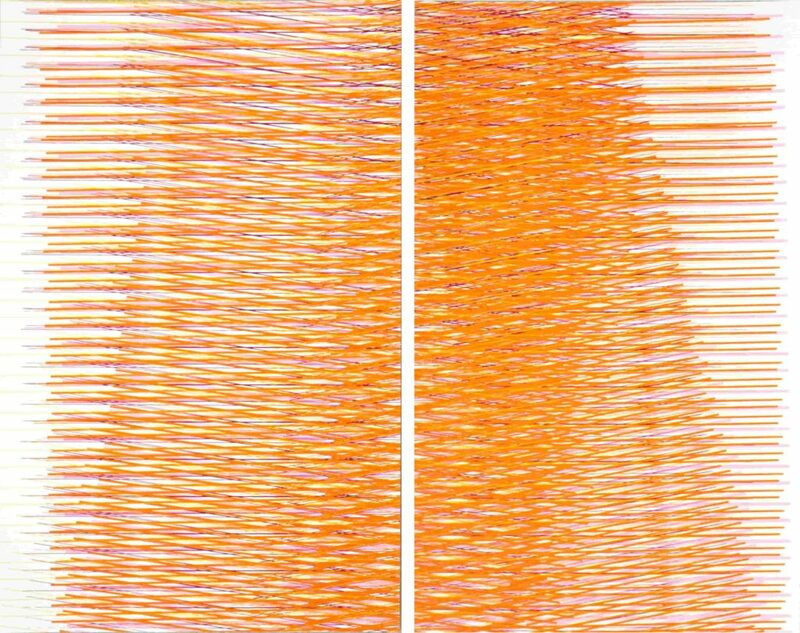 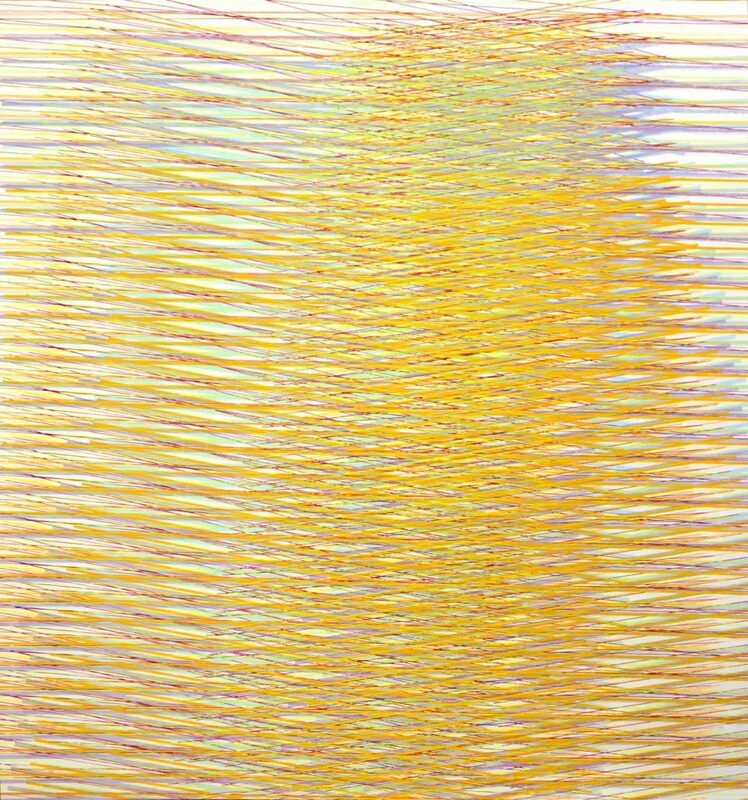 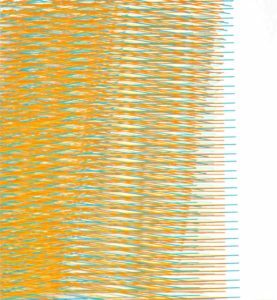 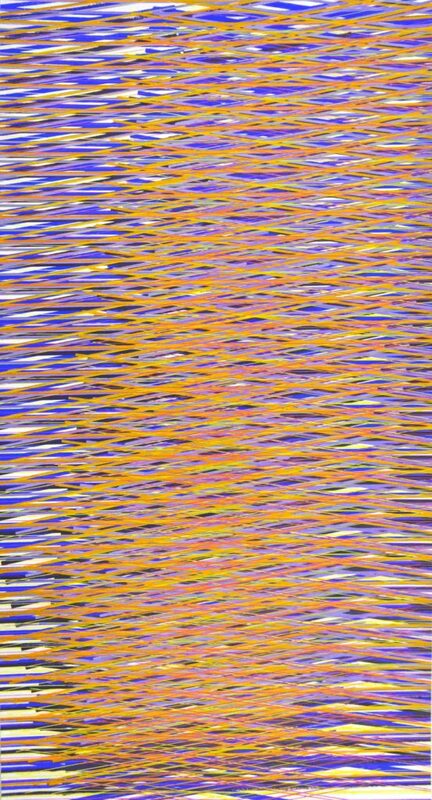 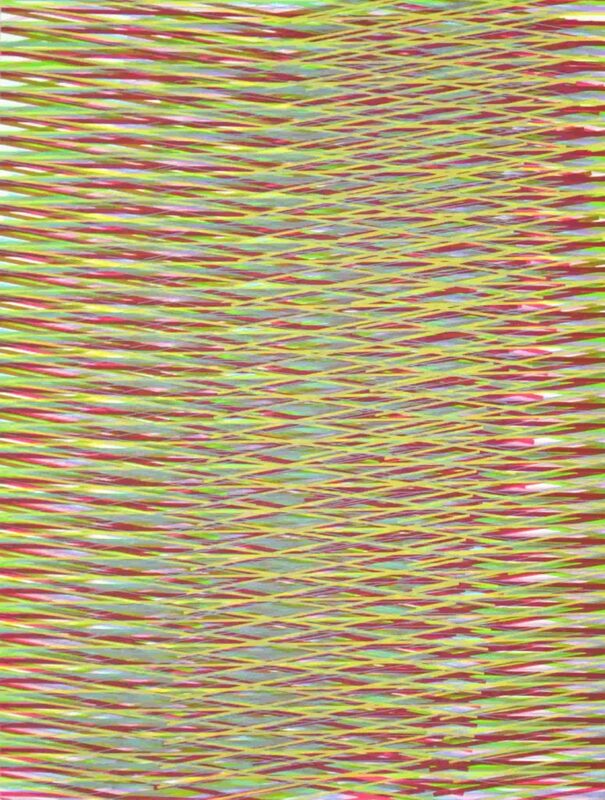 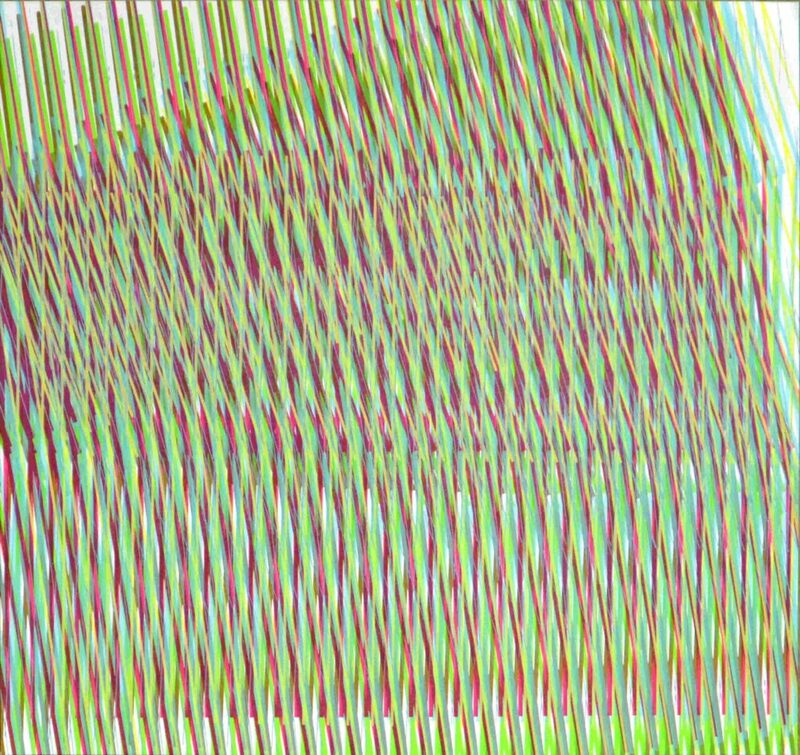 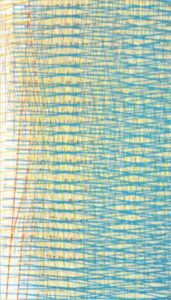 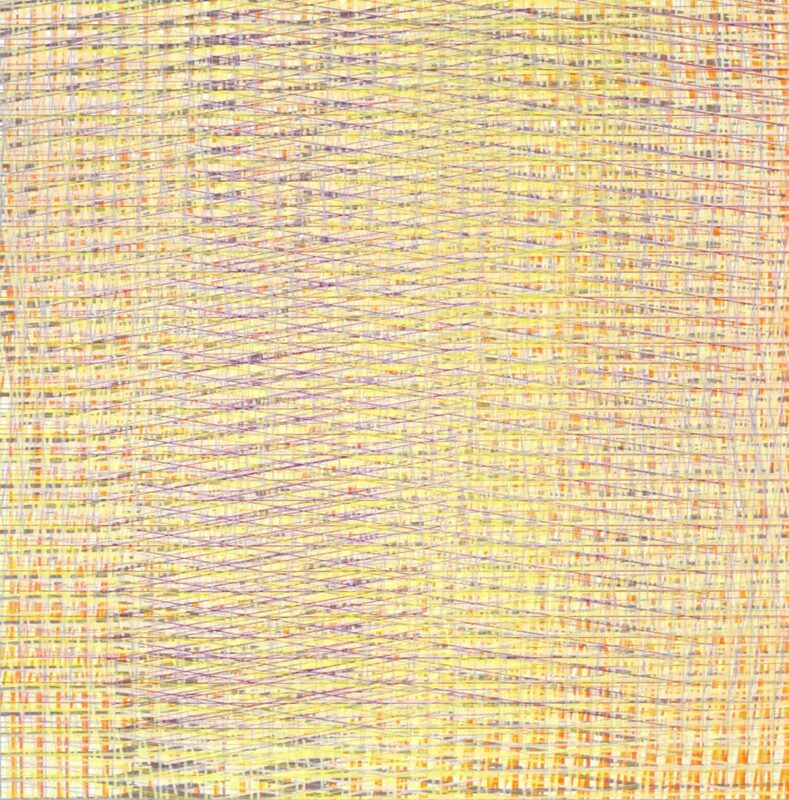 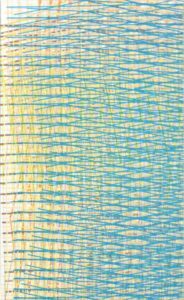 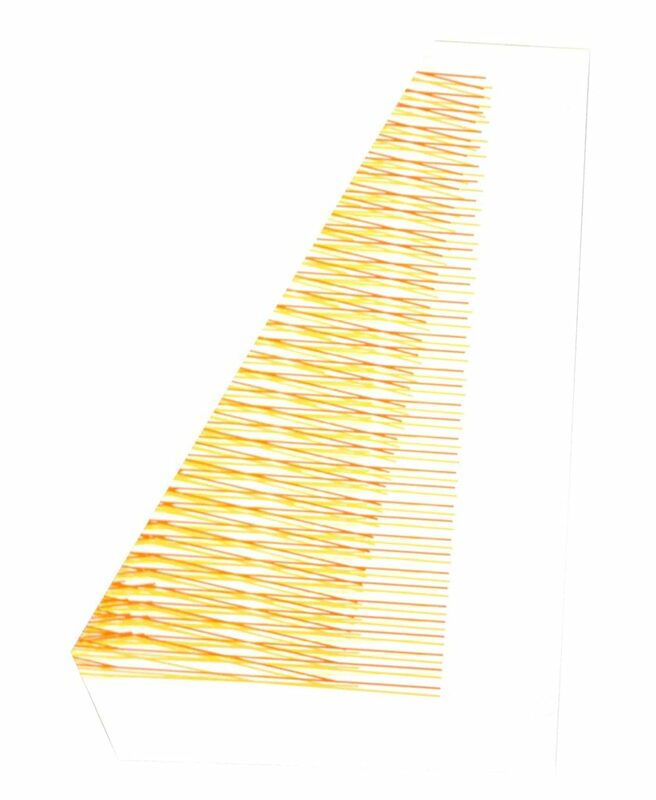 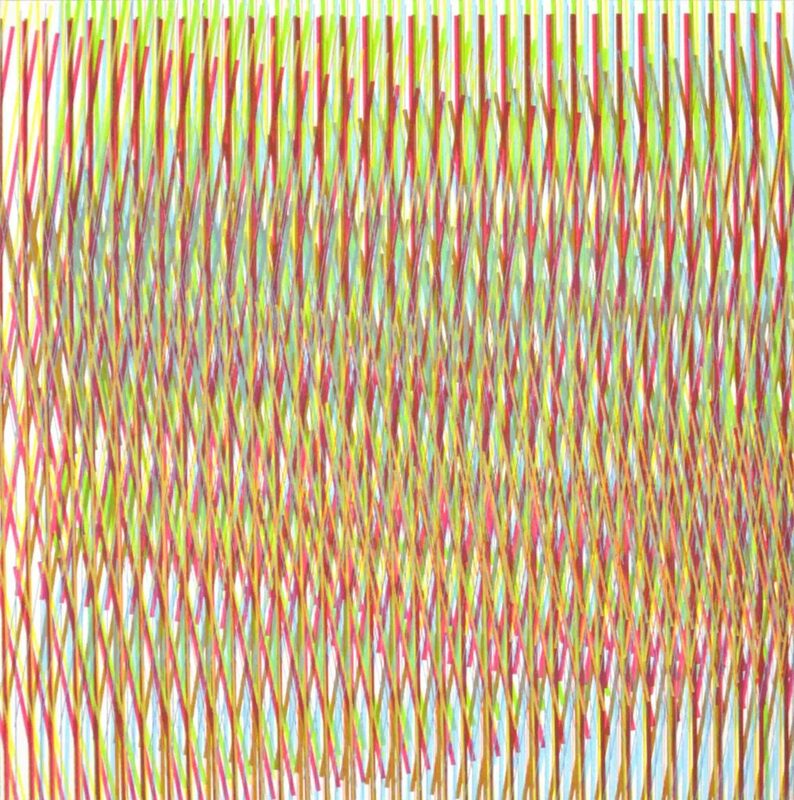 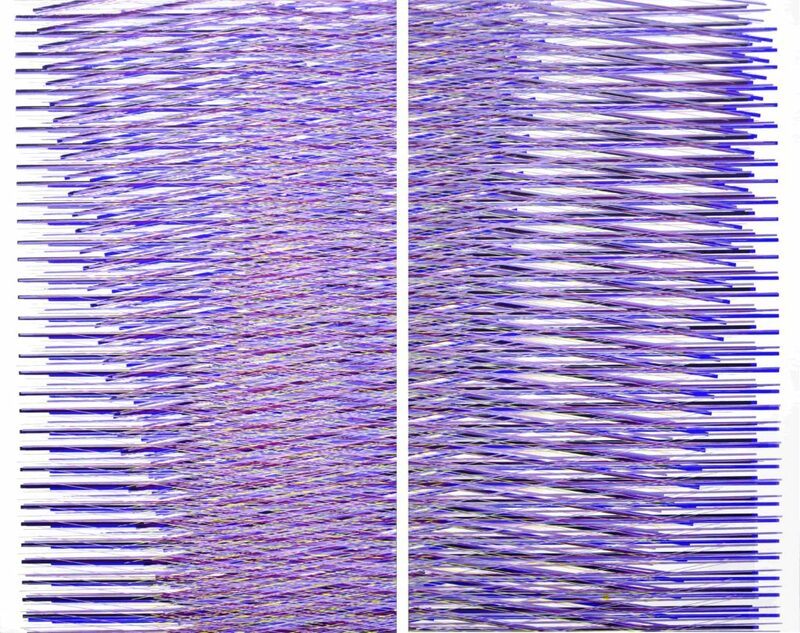 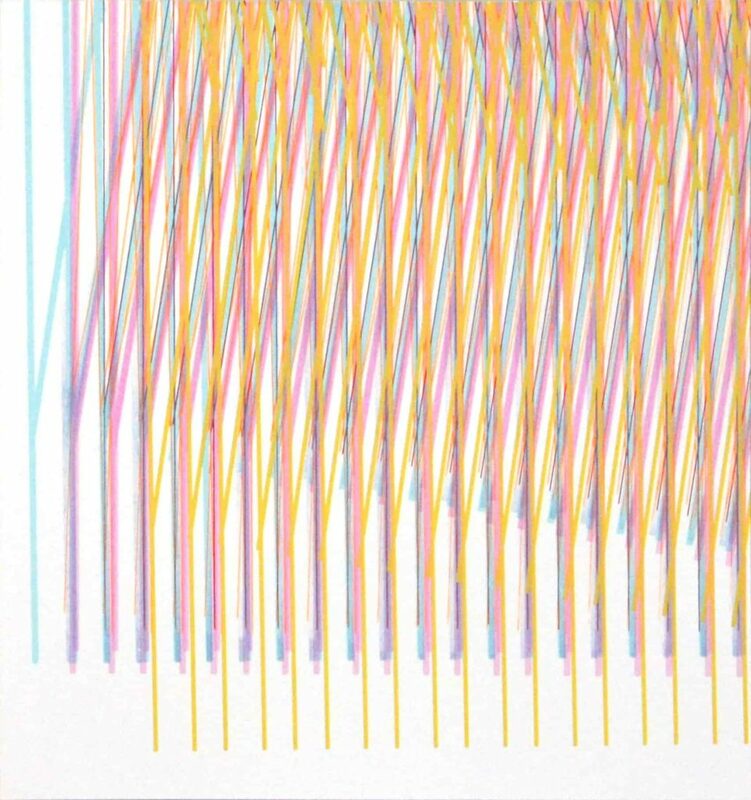 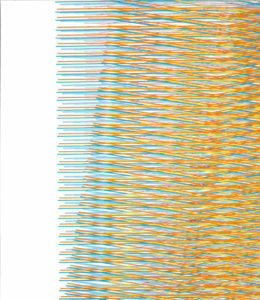 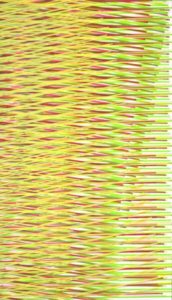 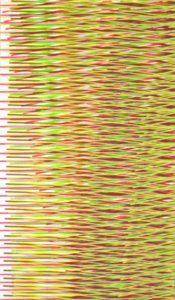 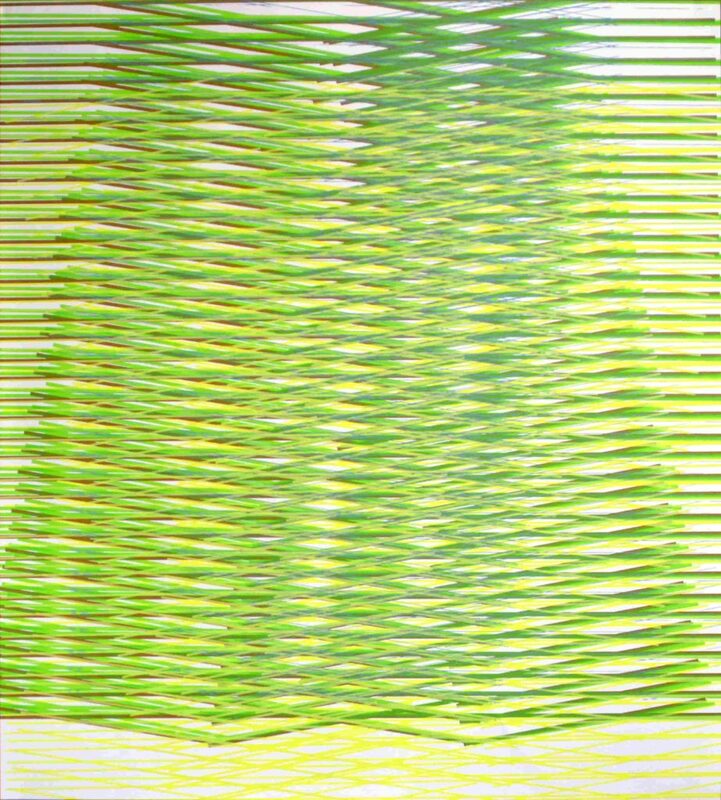 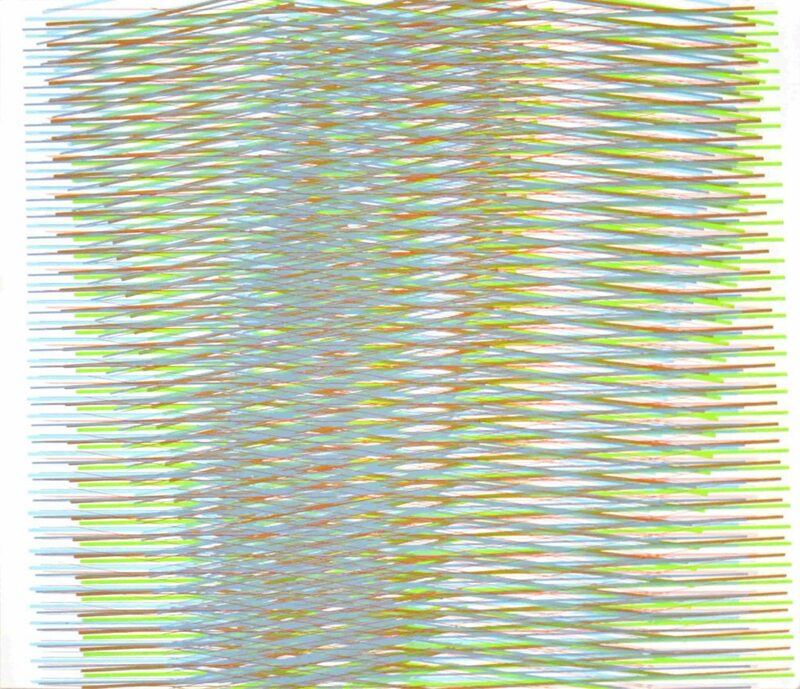 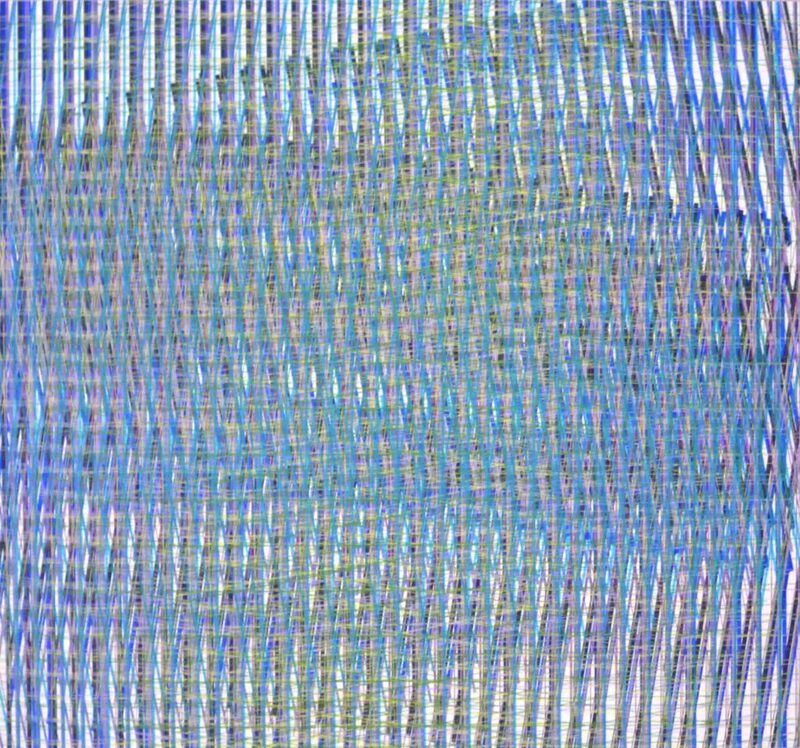 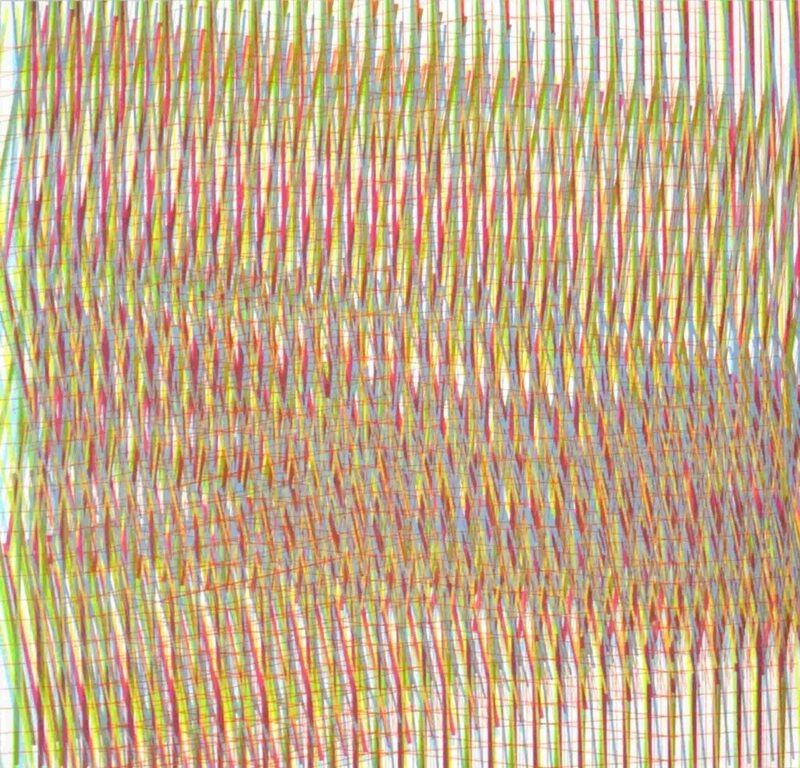 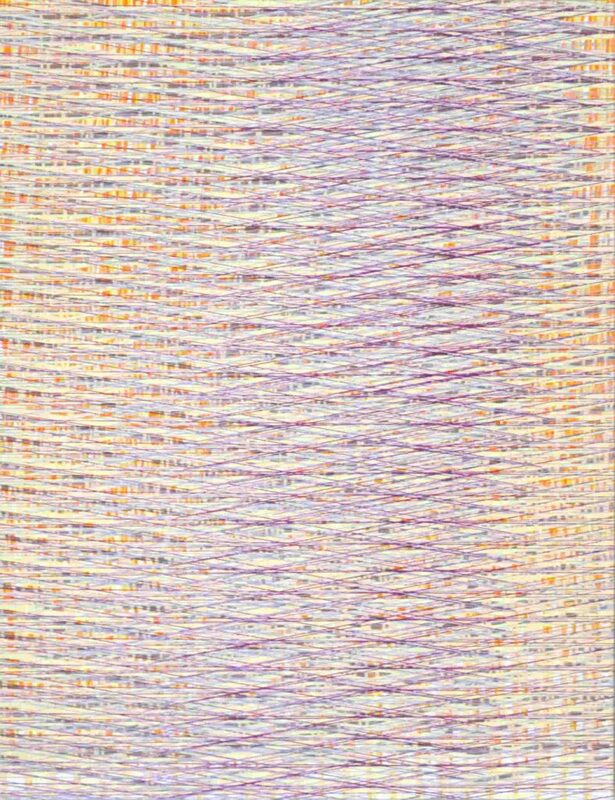 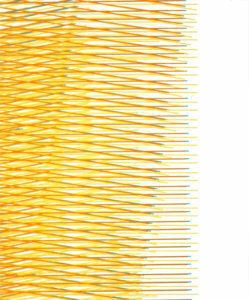 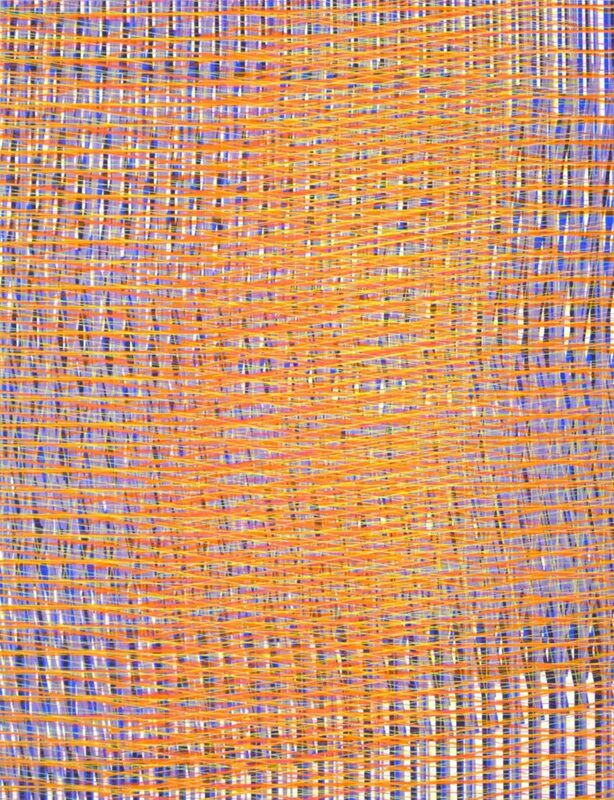 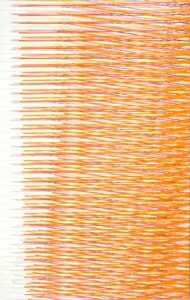 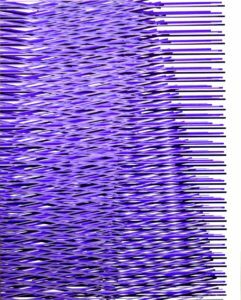 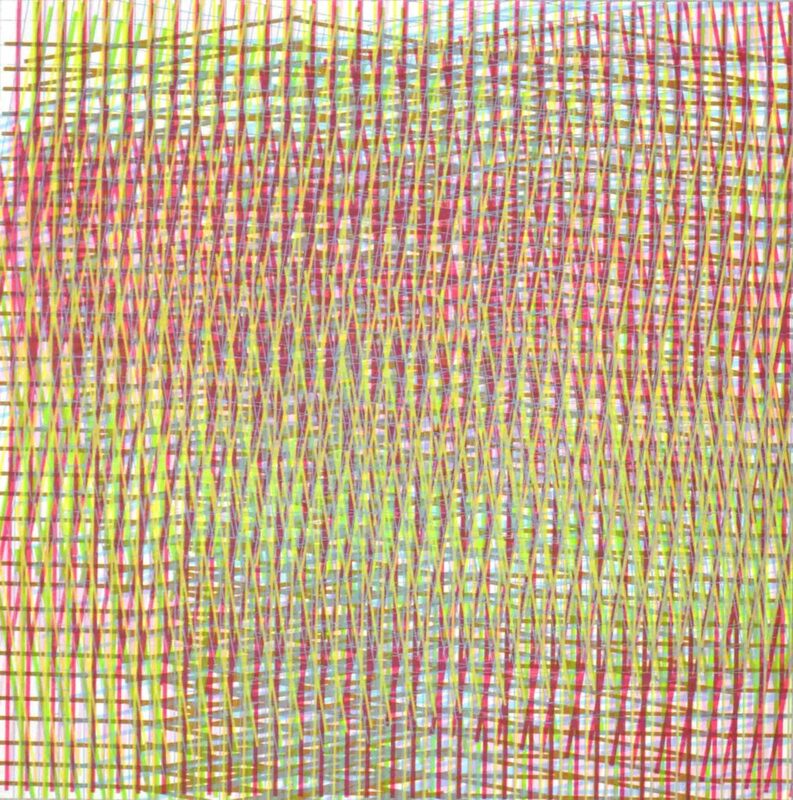 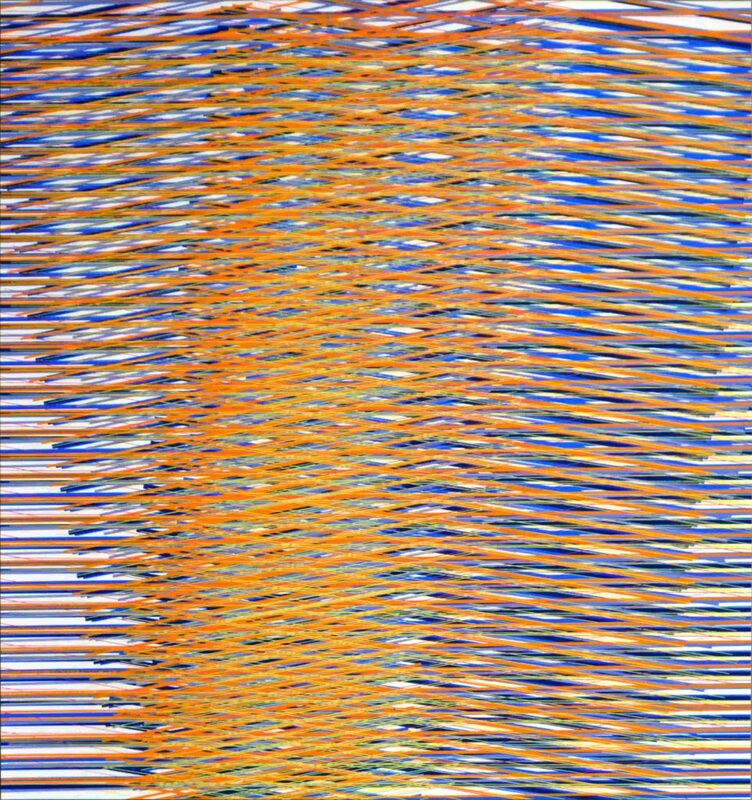 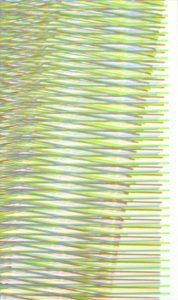 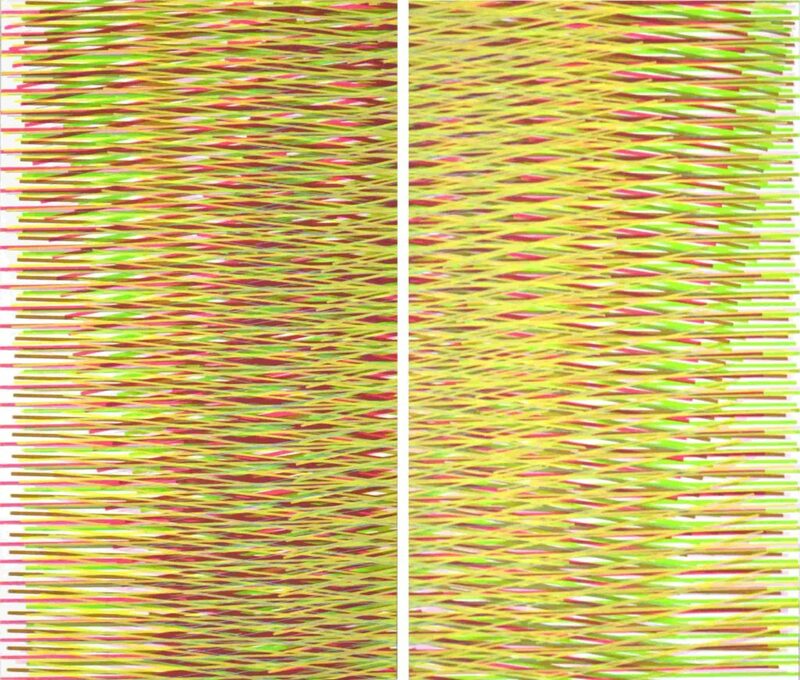 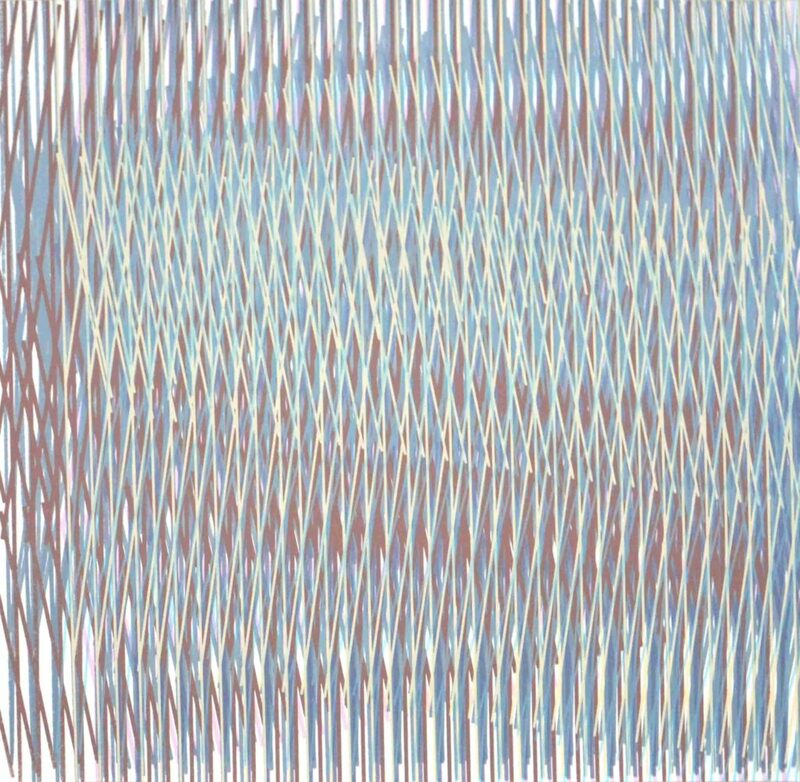 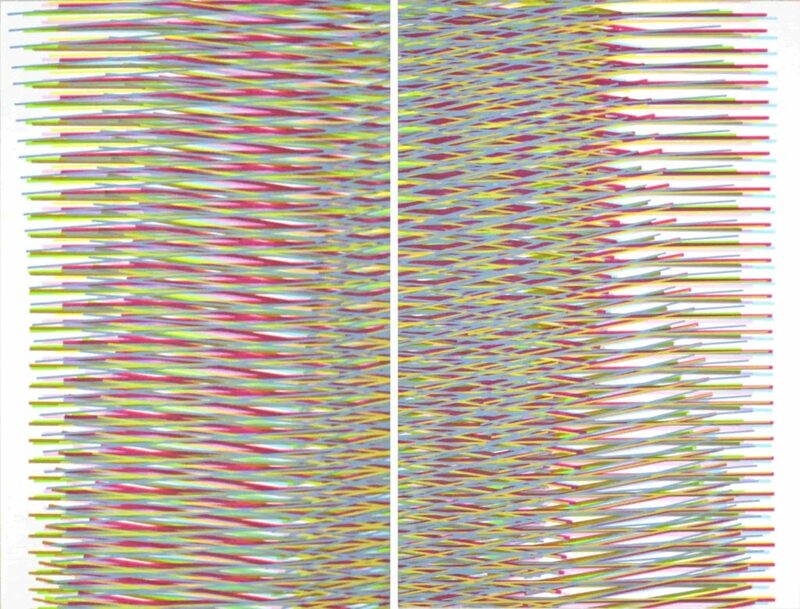 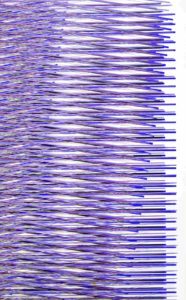 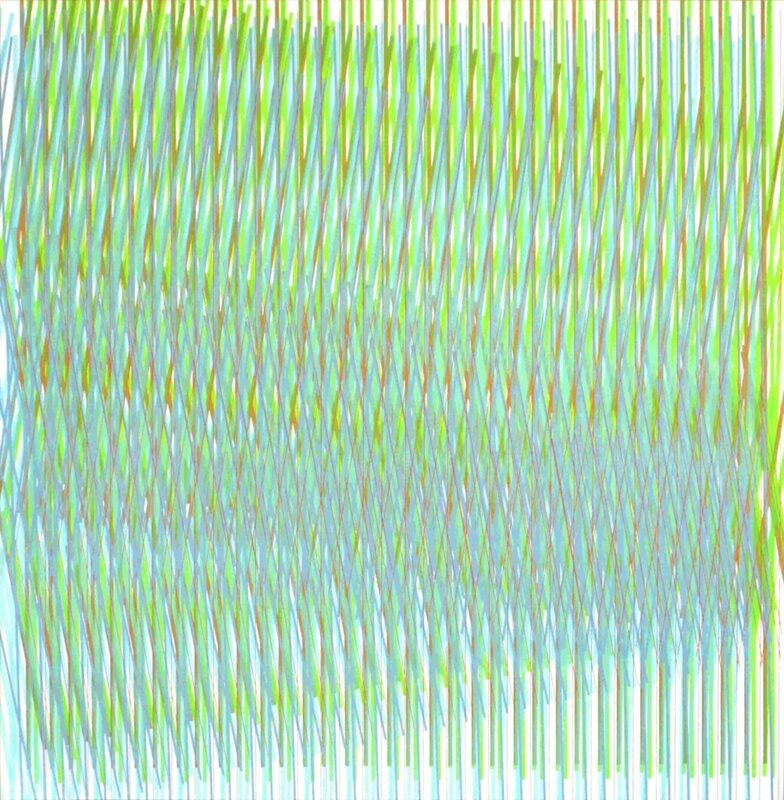 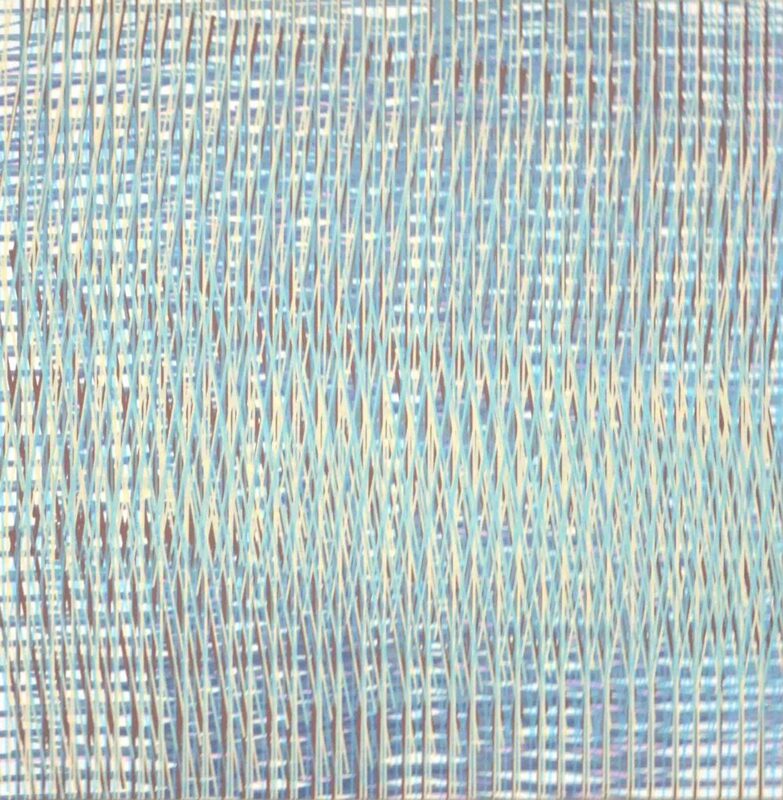 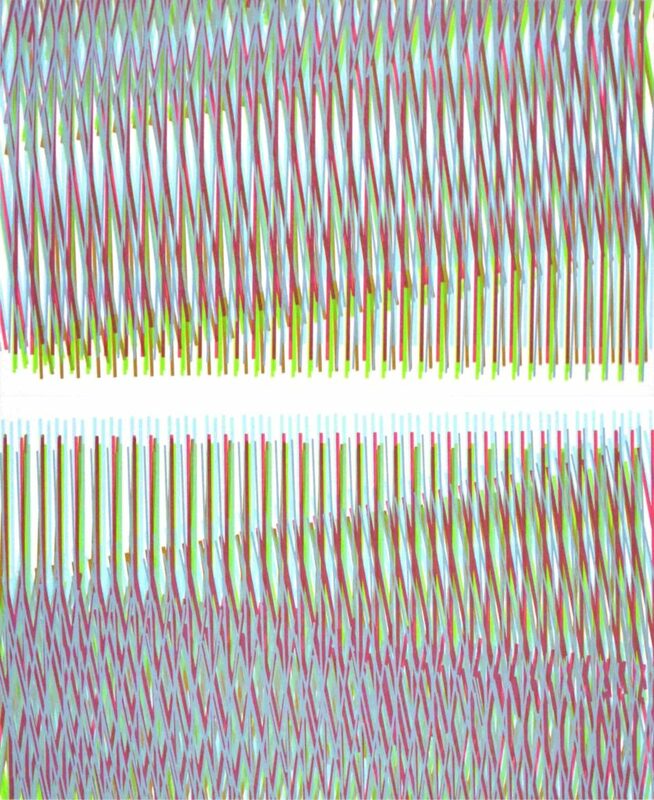 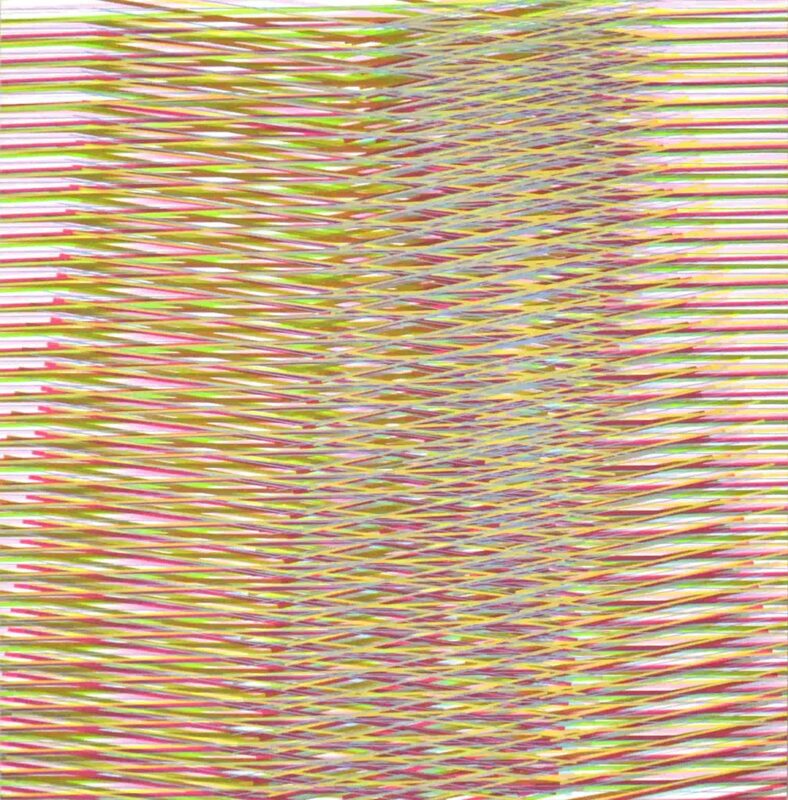 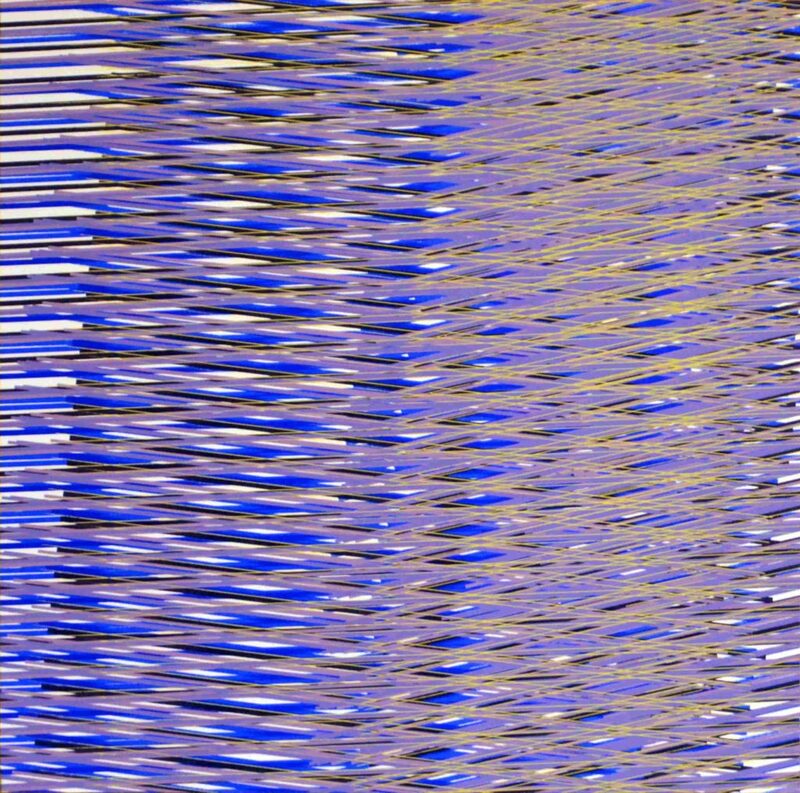 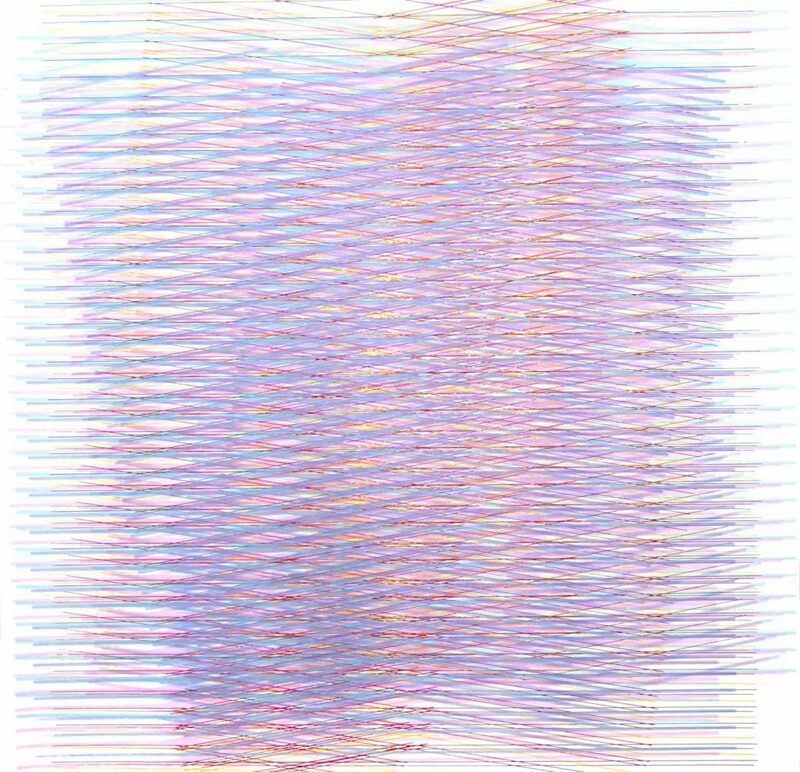 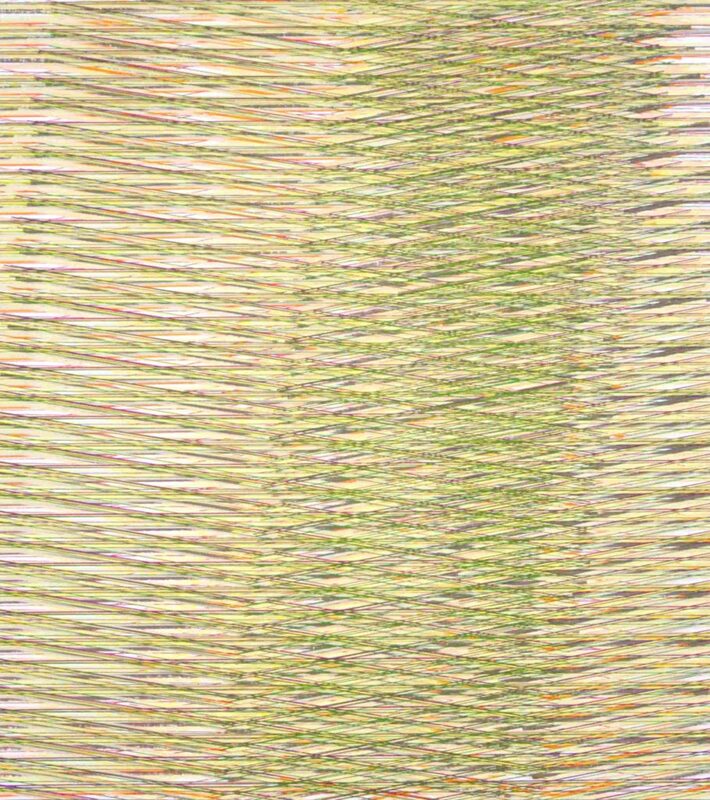 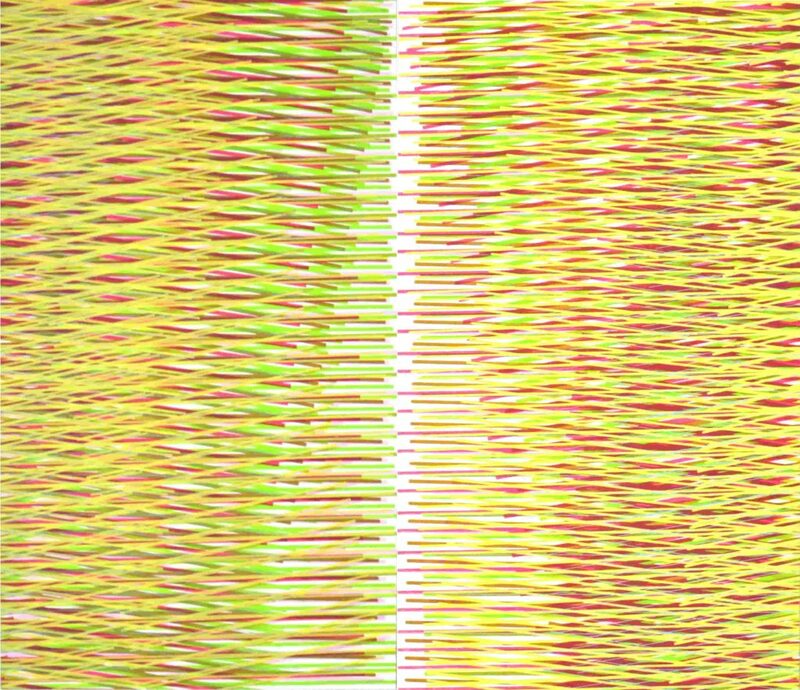 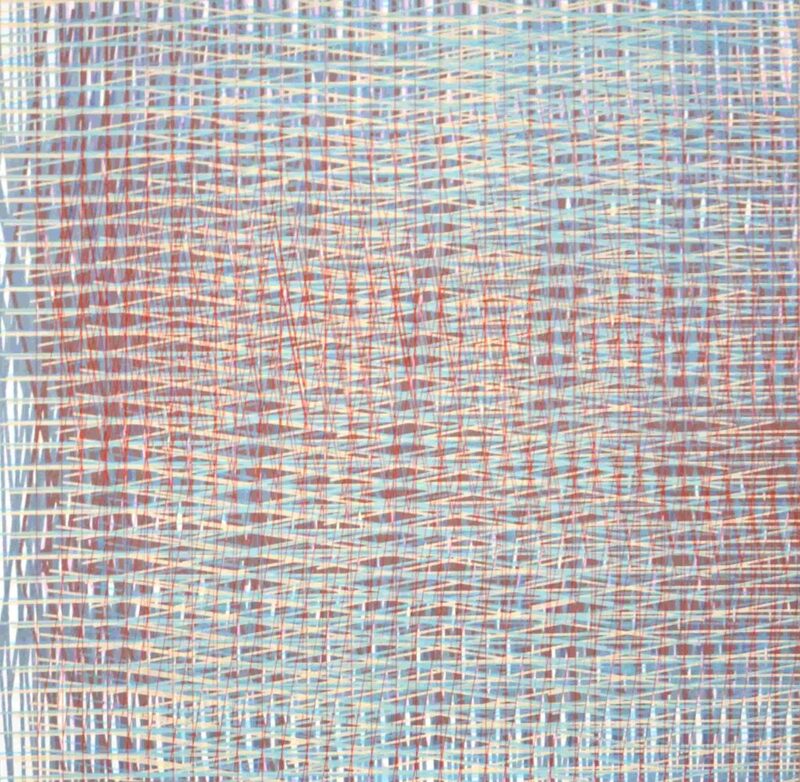 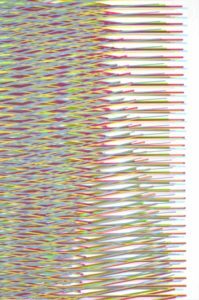 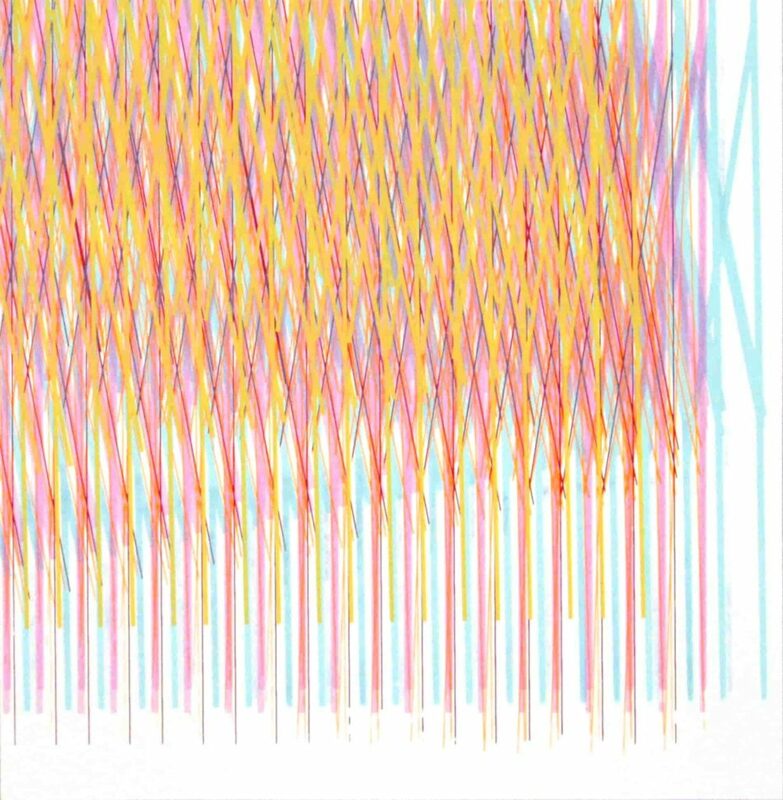 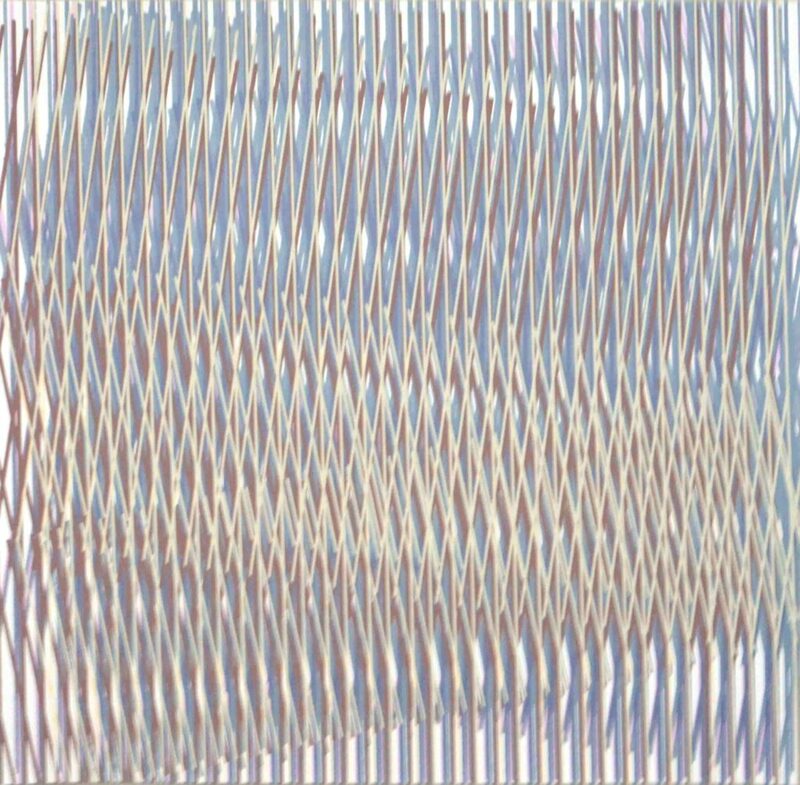 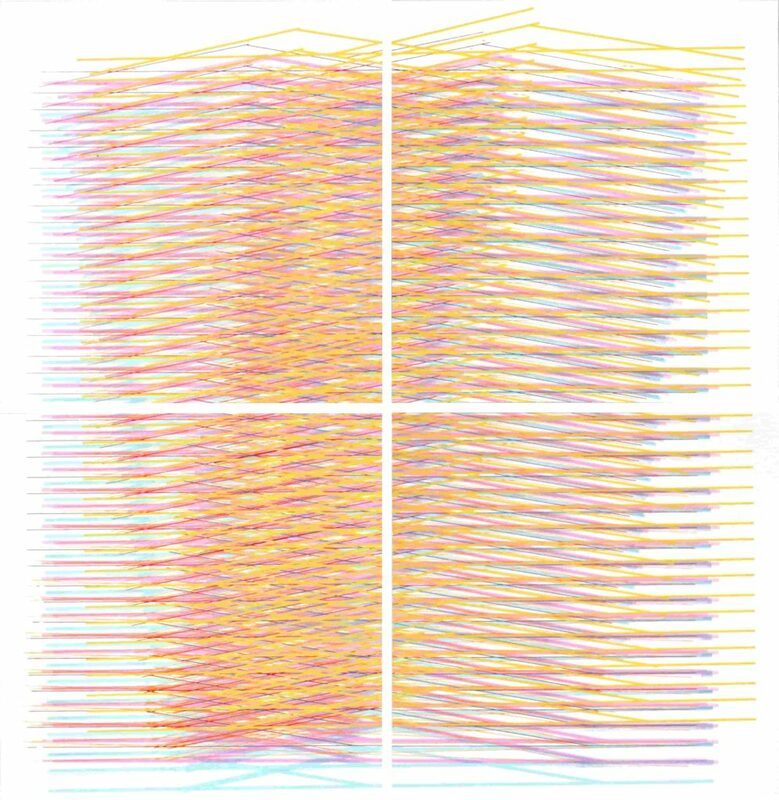 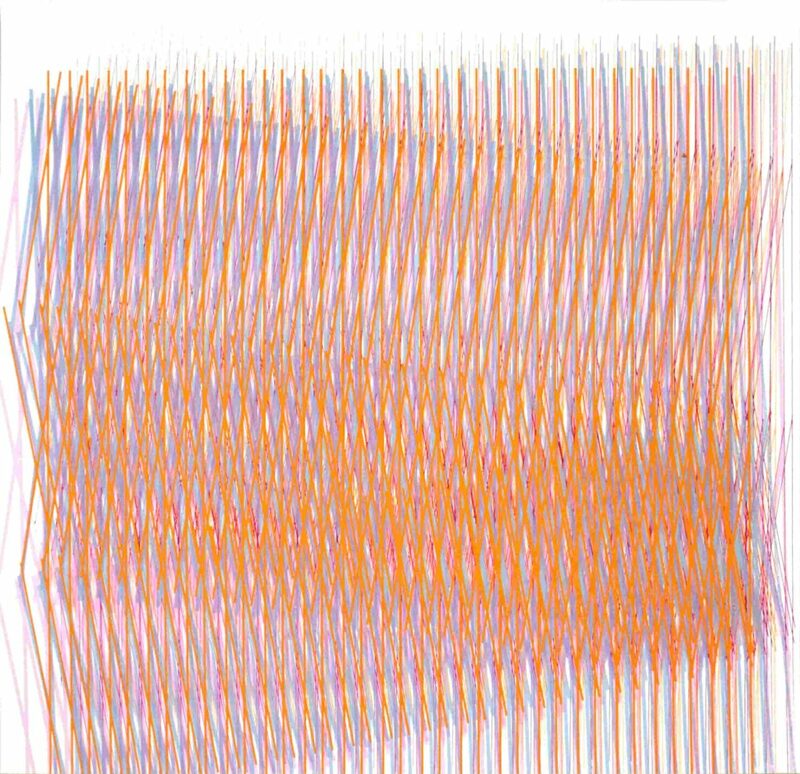 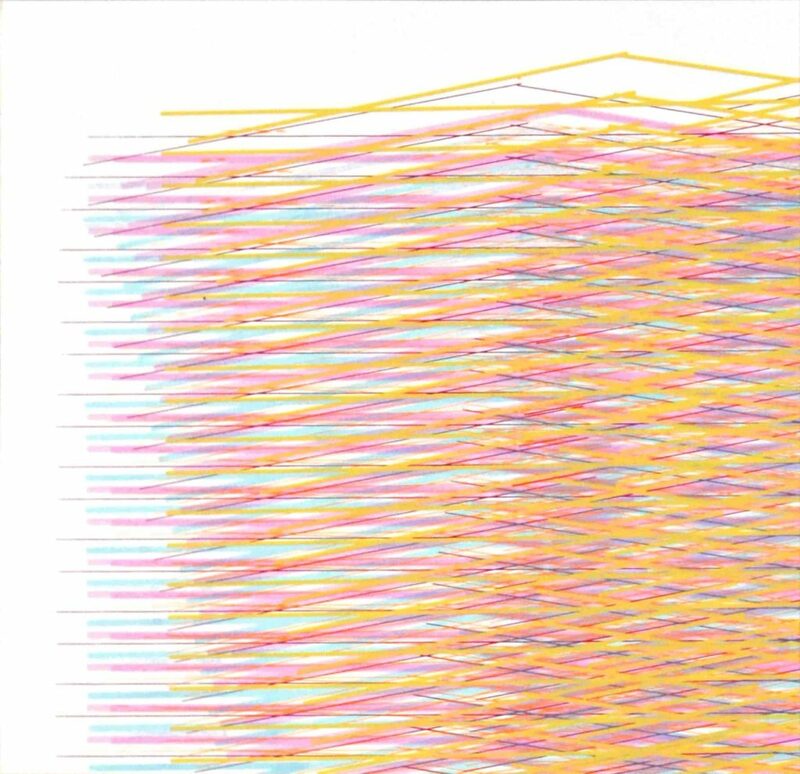 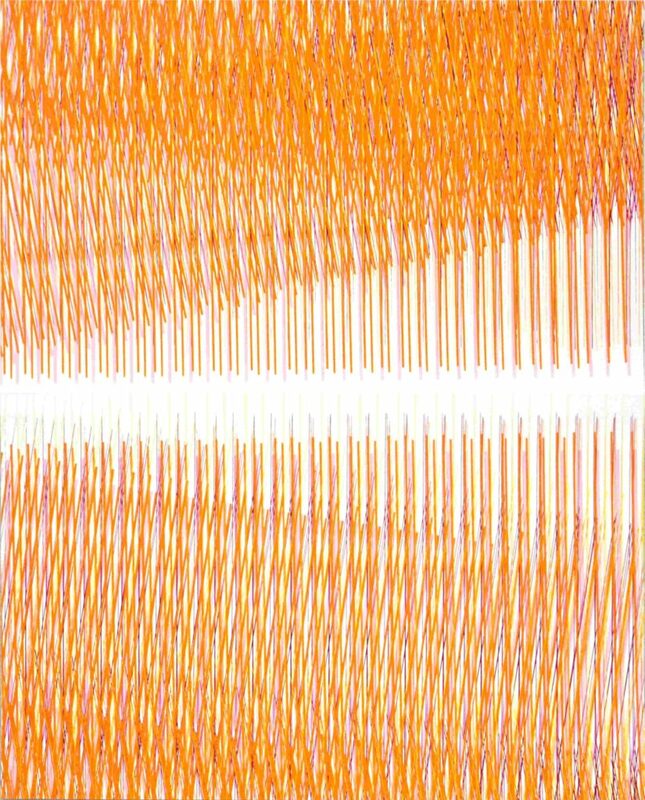 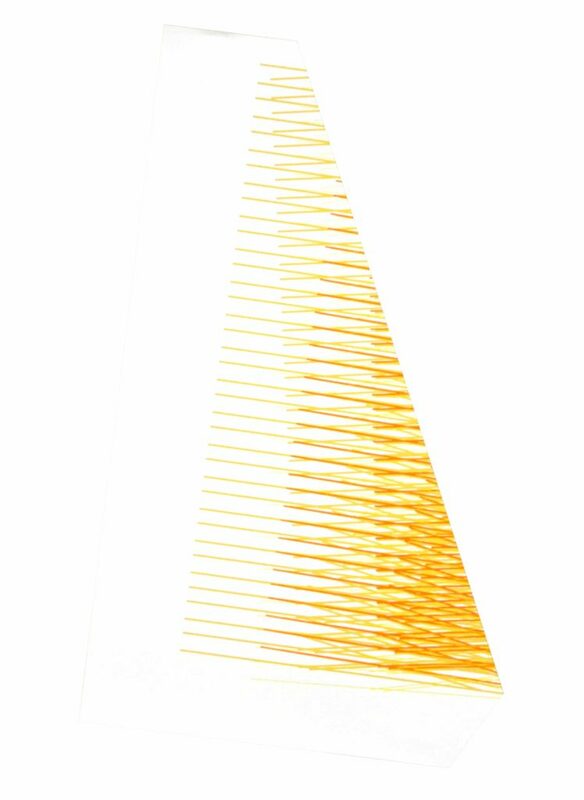 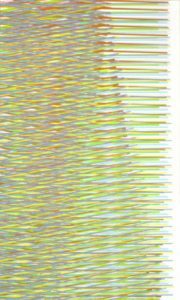 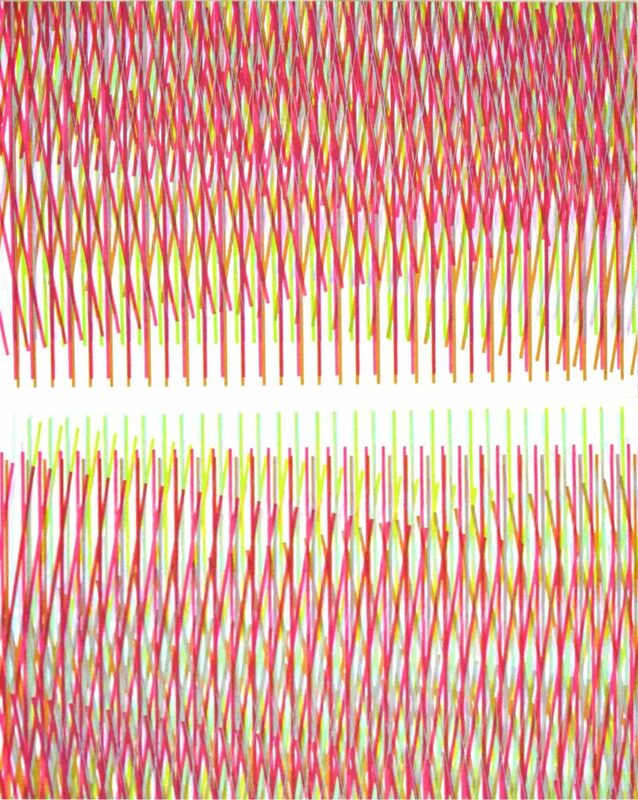 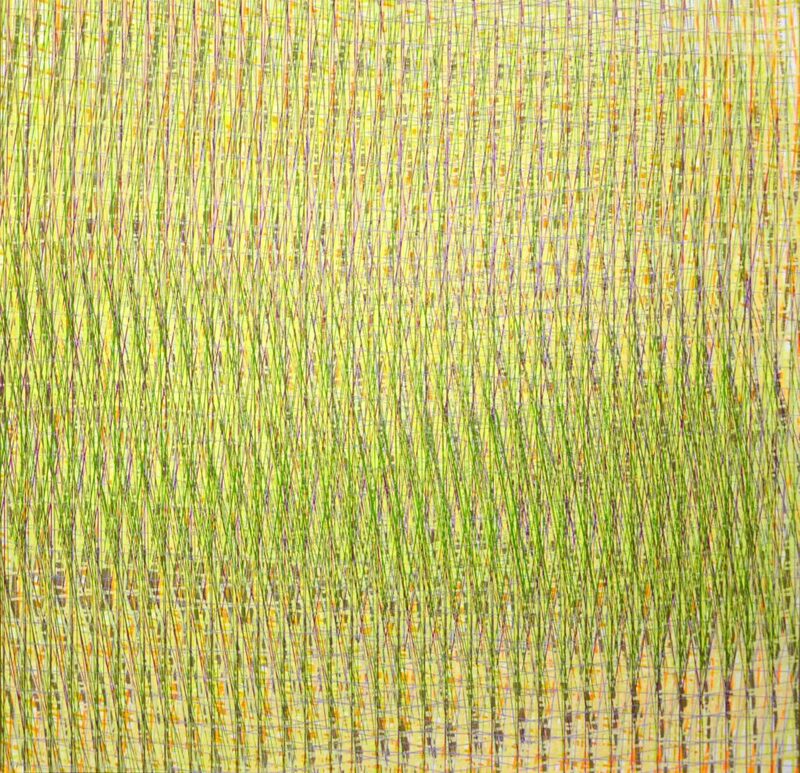 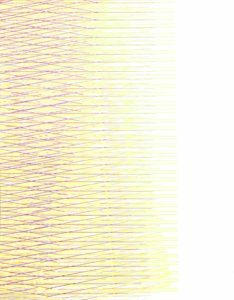 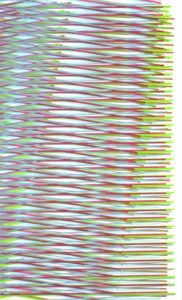 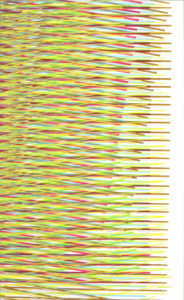 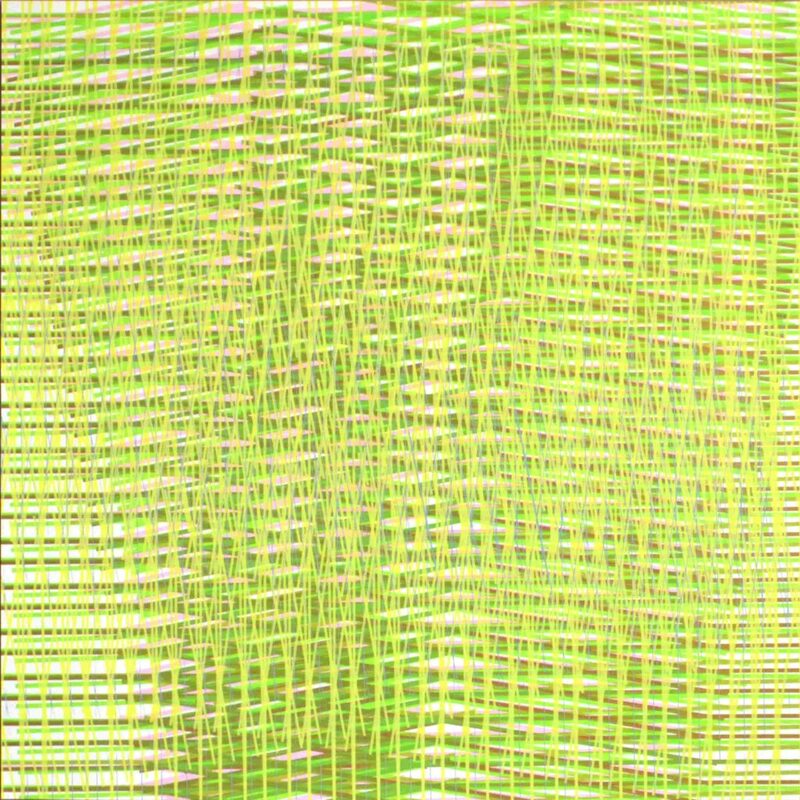 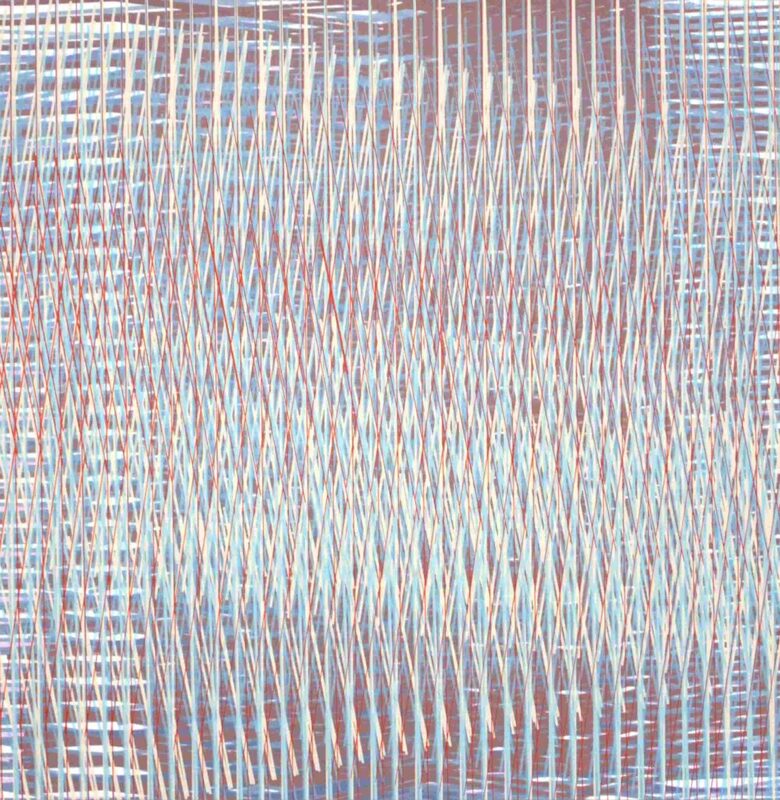 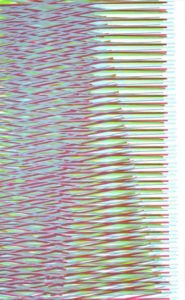 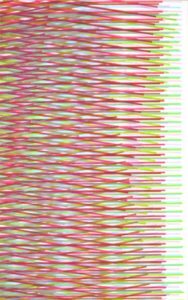 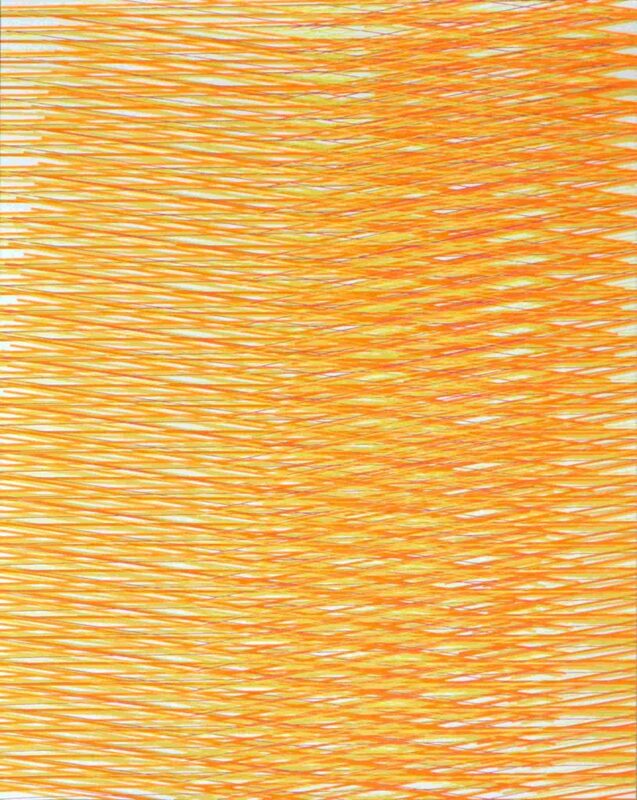 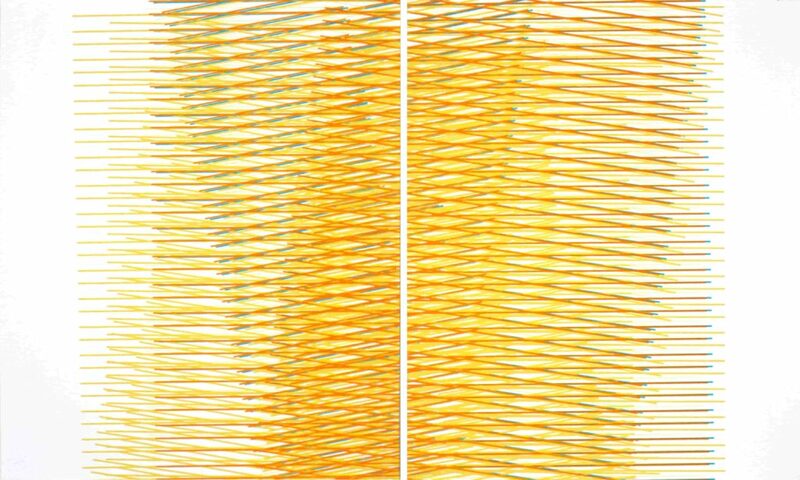 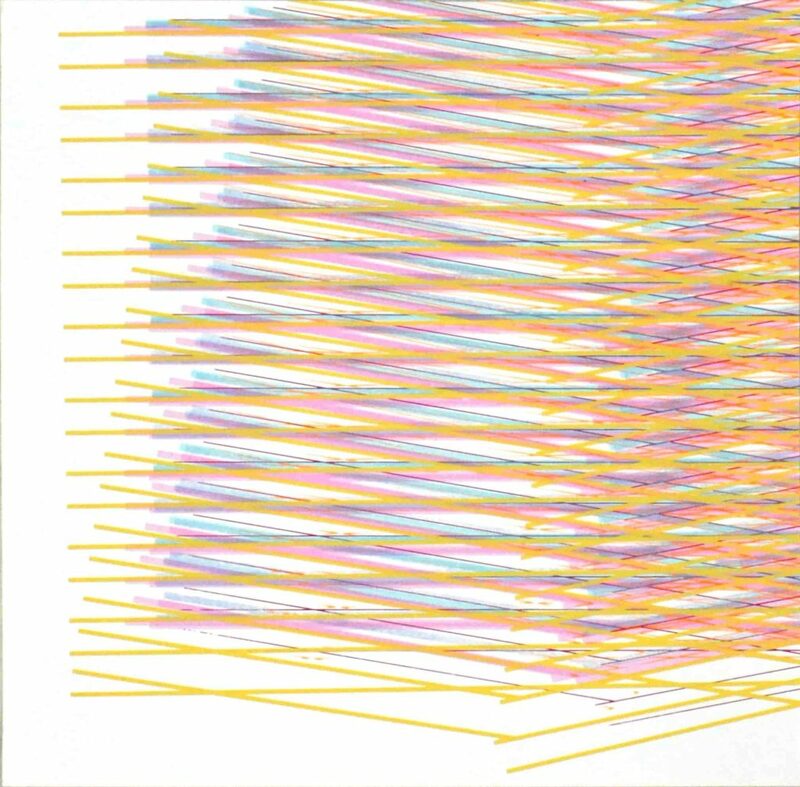 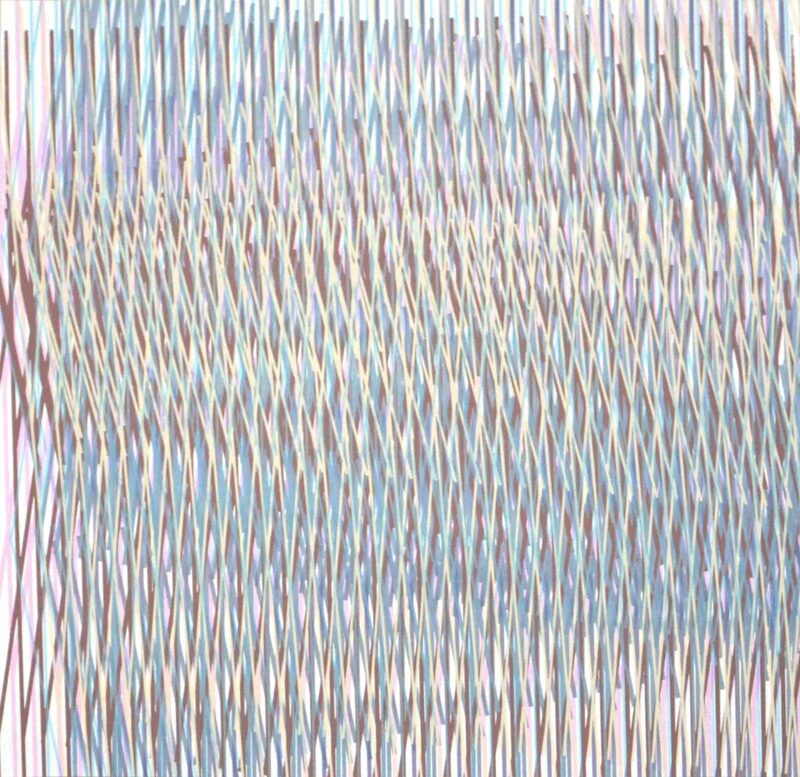 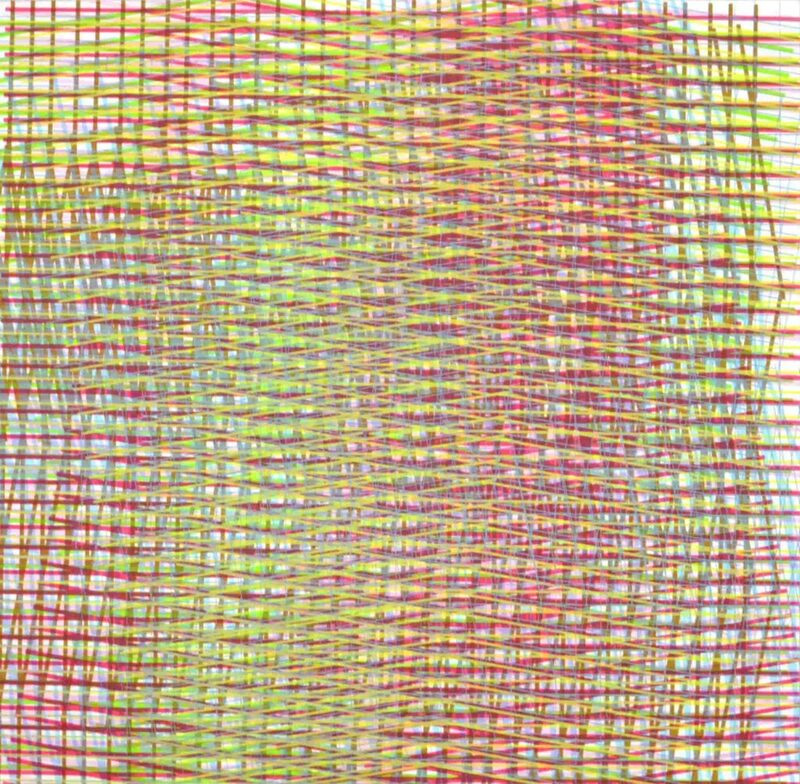 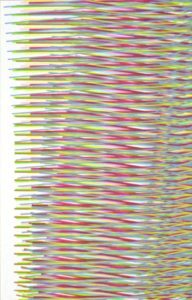 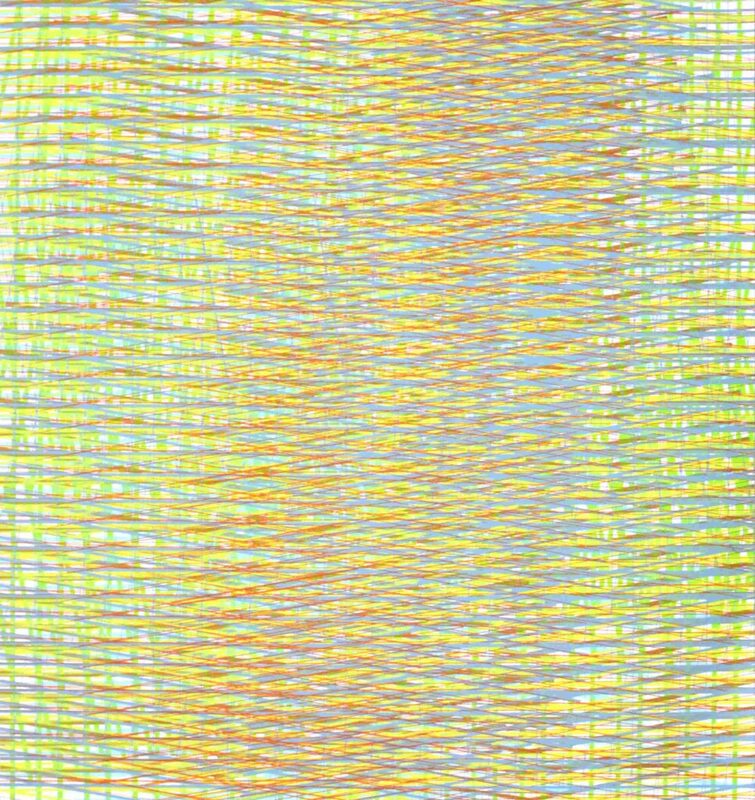 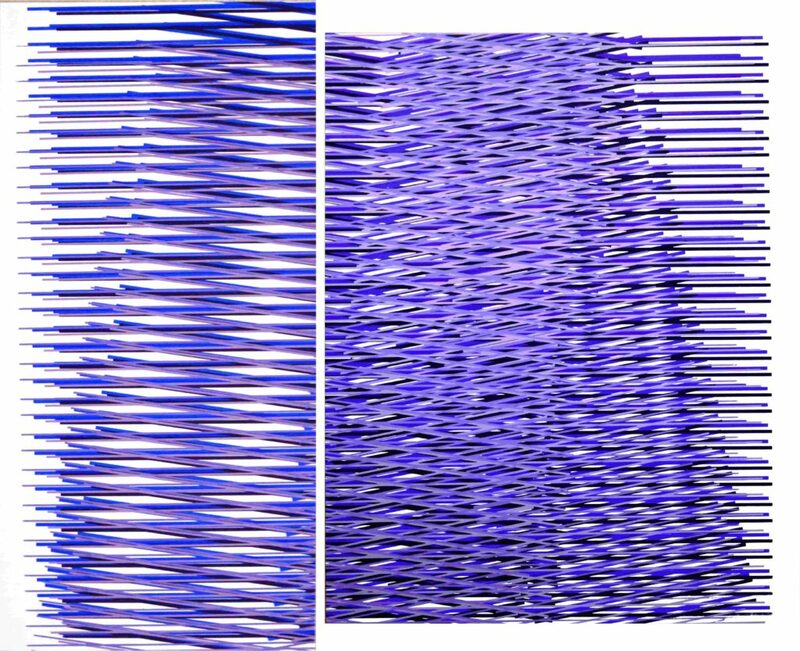 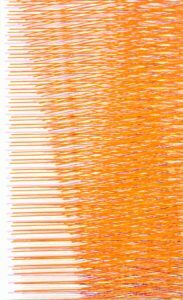 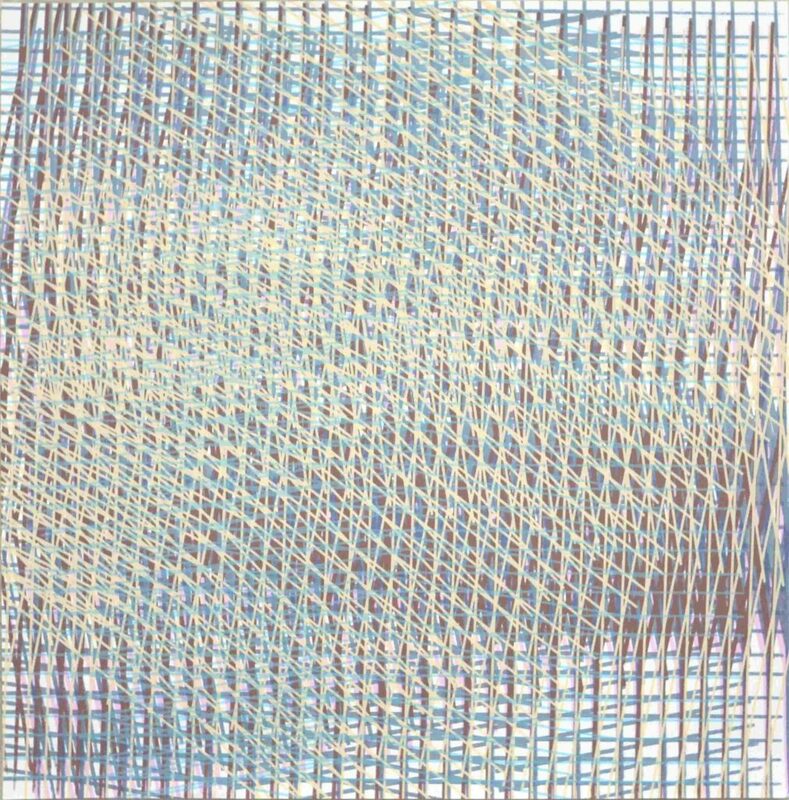 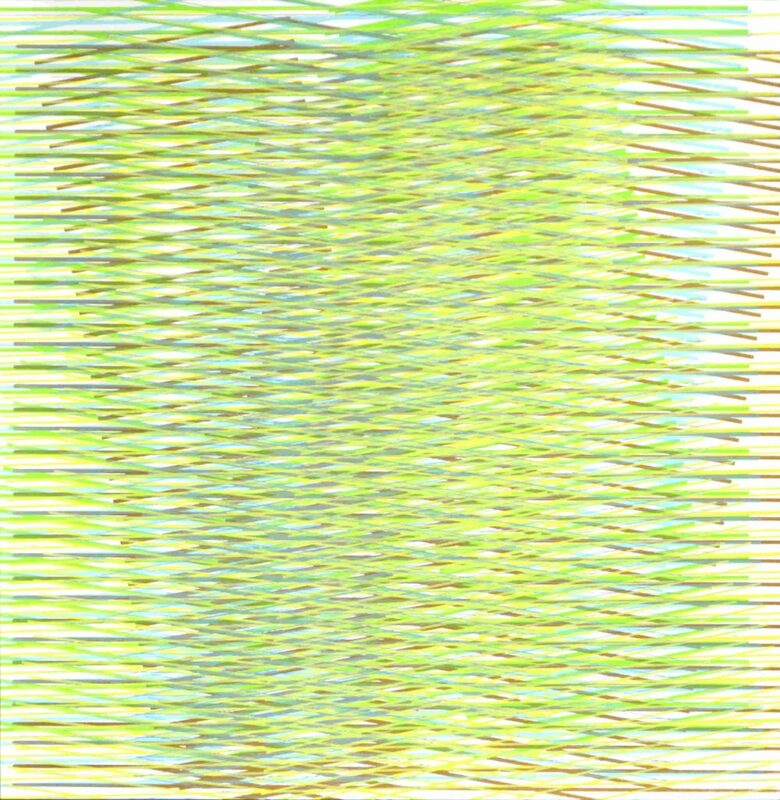 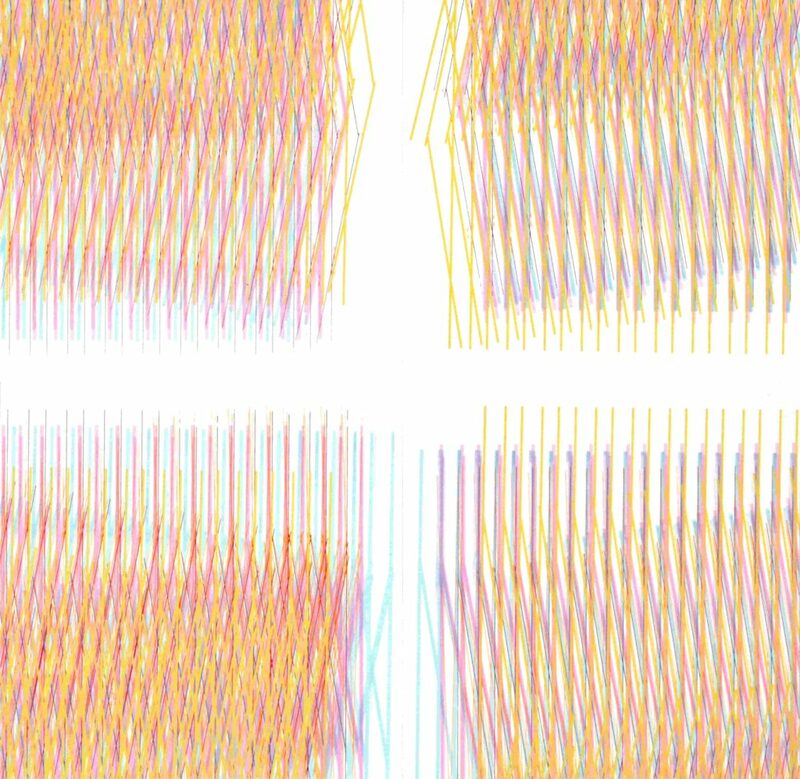 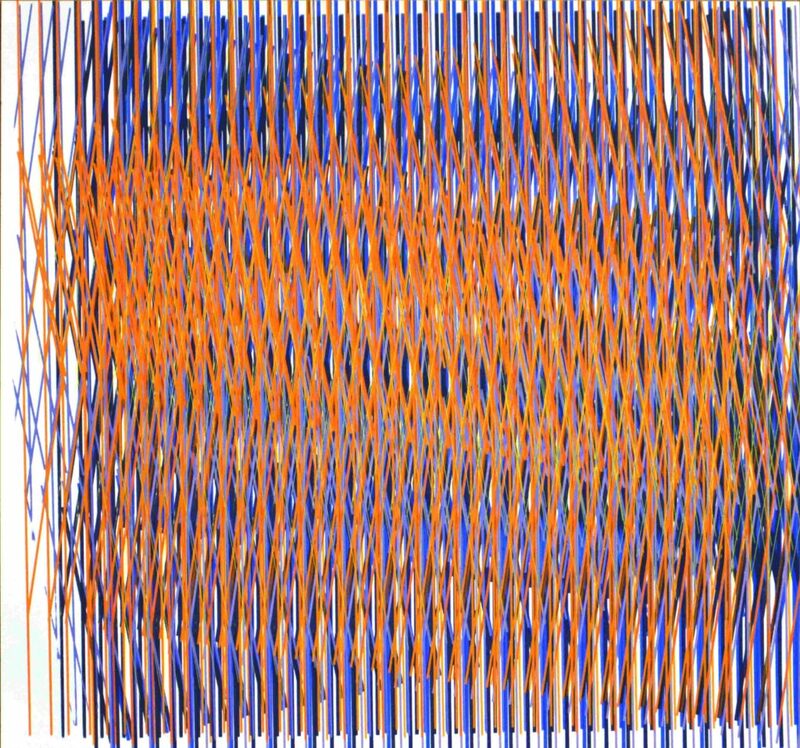 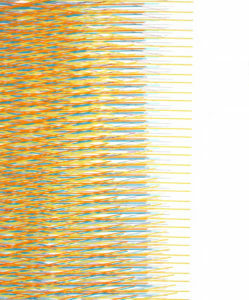 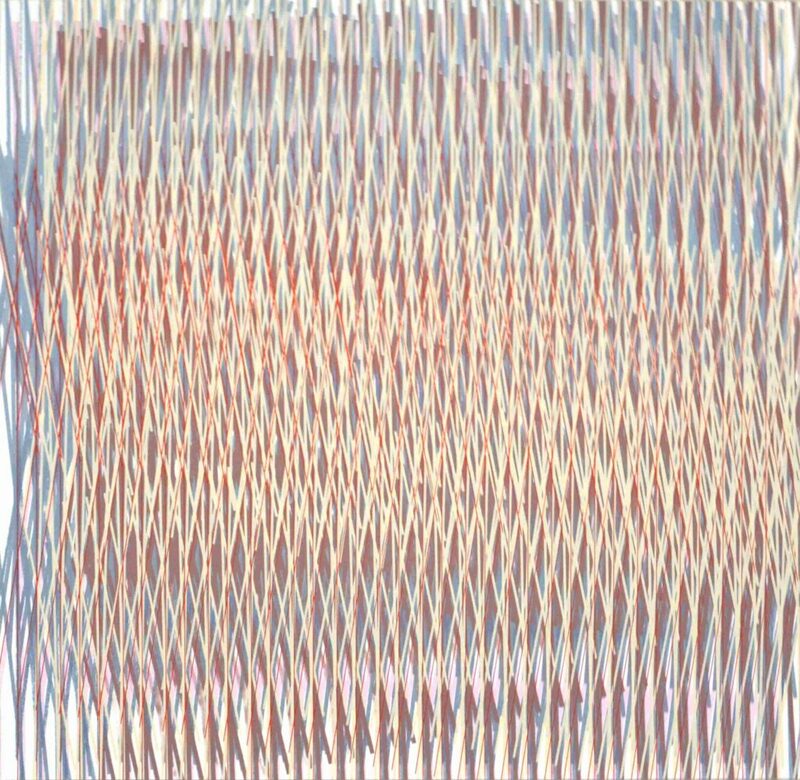 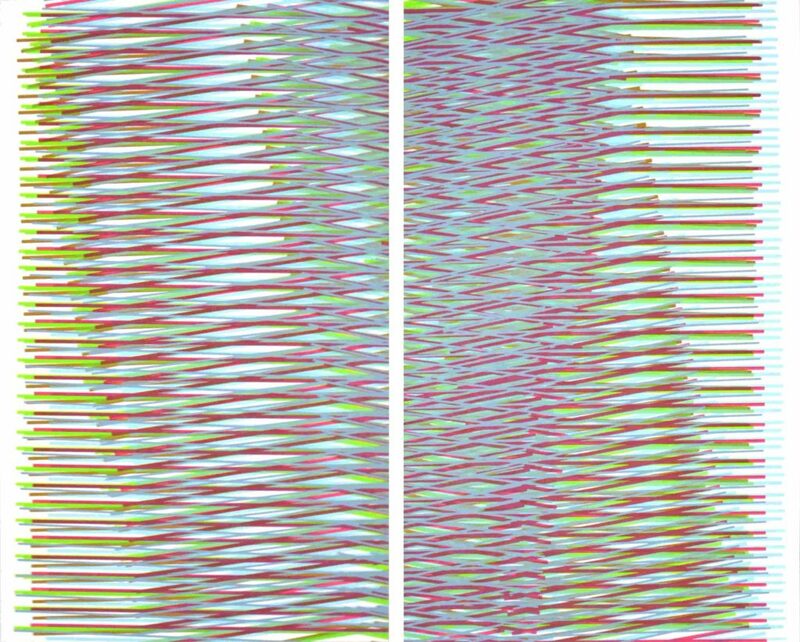 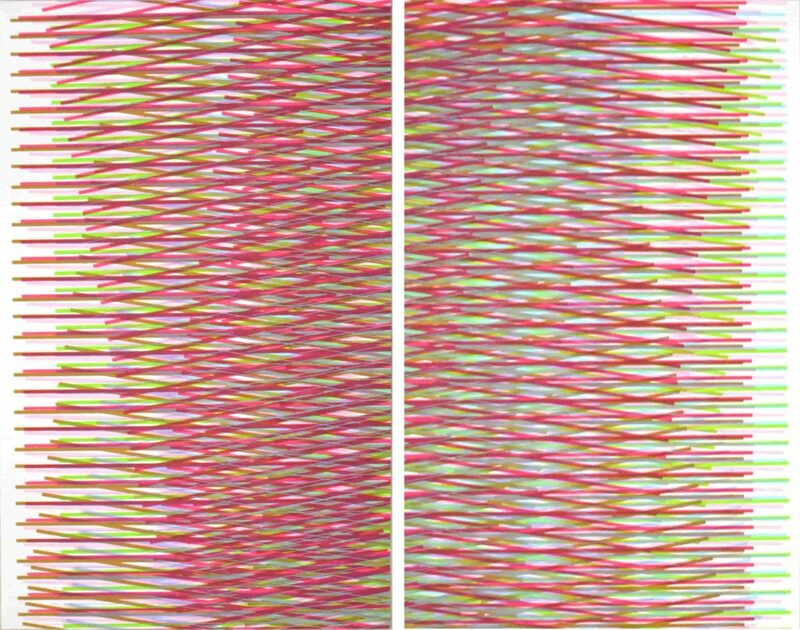 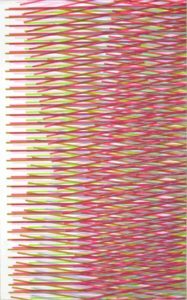 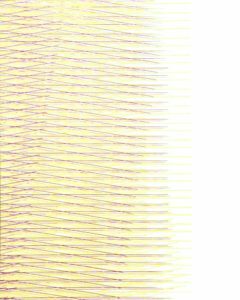 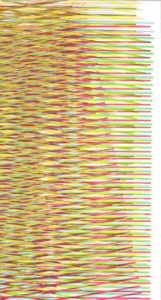 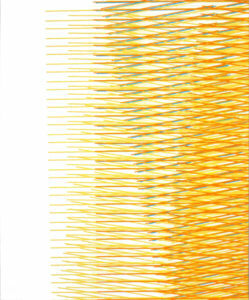 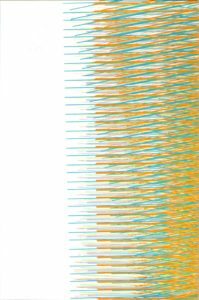 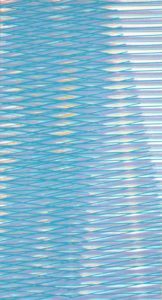 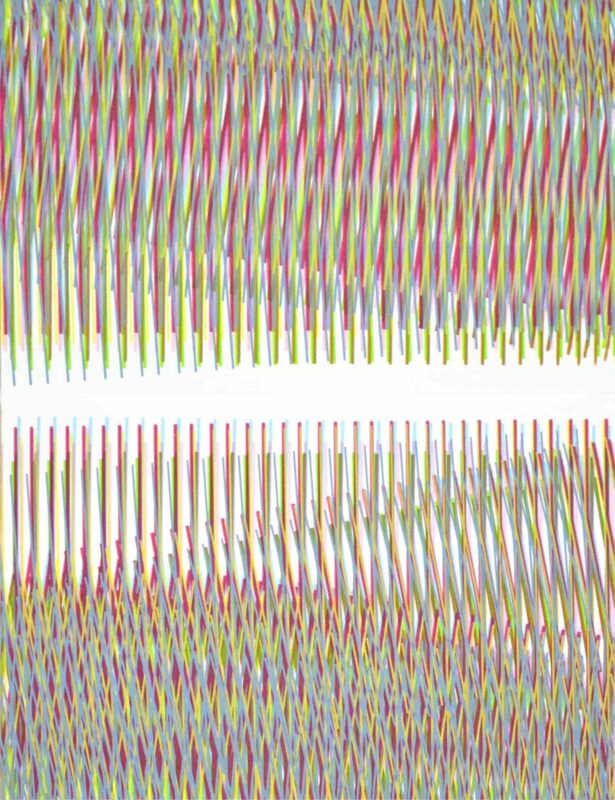 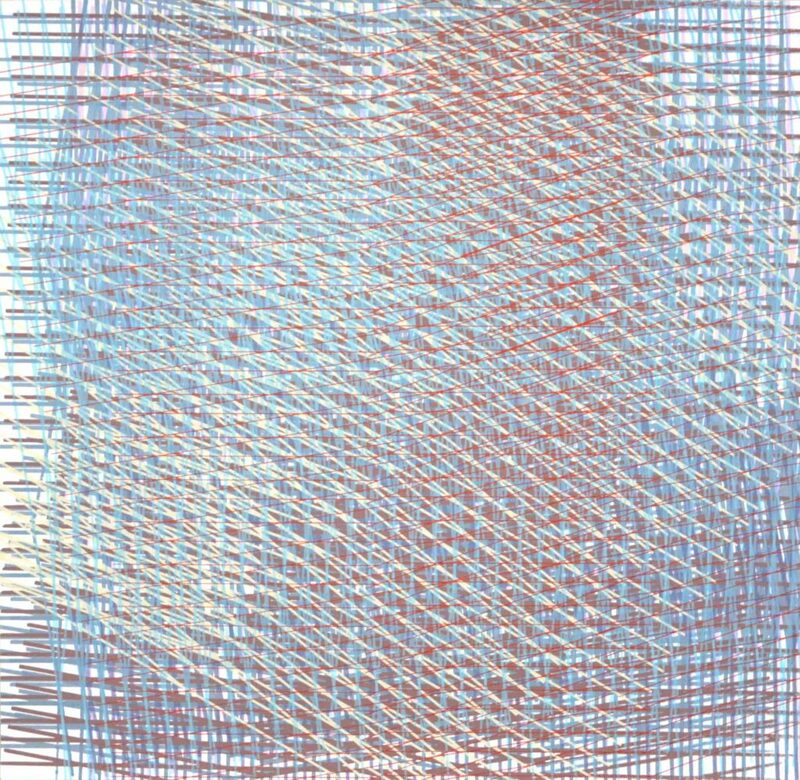 These works are a part of my sound-colour correlation study, in which colourful lines imitate the movement of the sound (as seen by me). 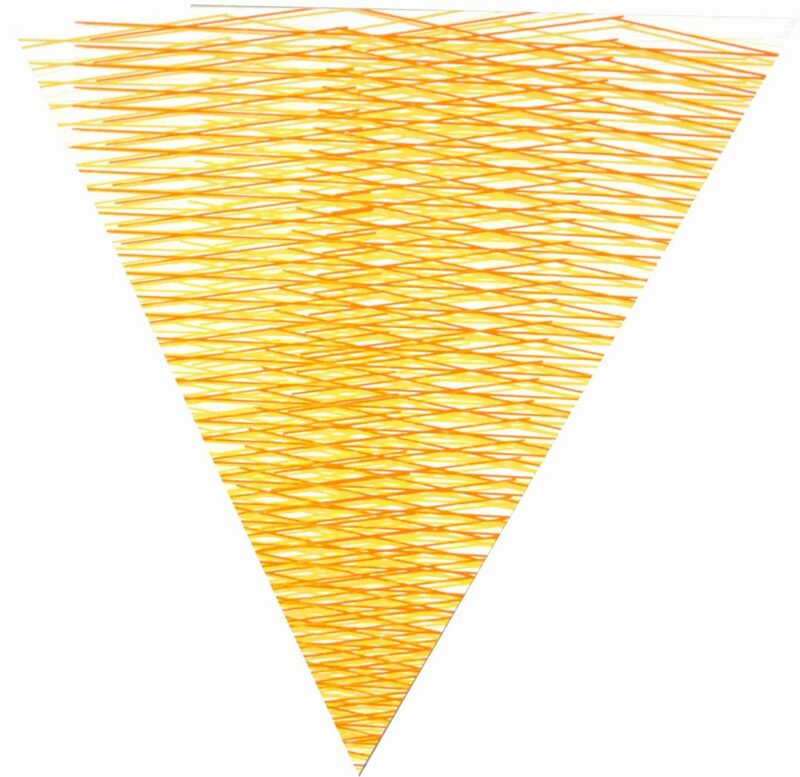 The shapes and the superpositions are instinctive and the presence of hazard is undoubtful. 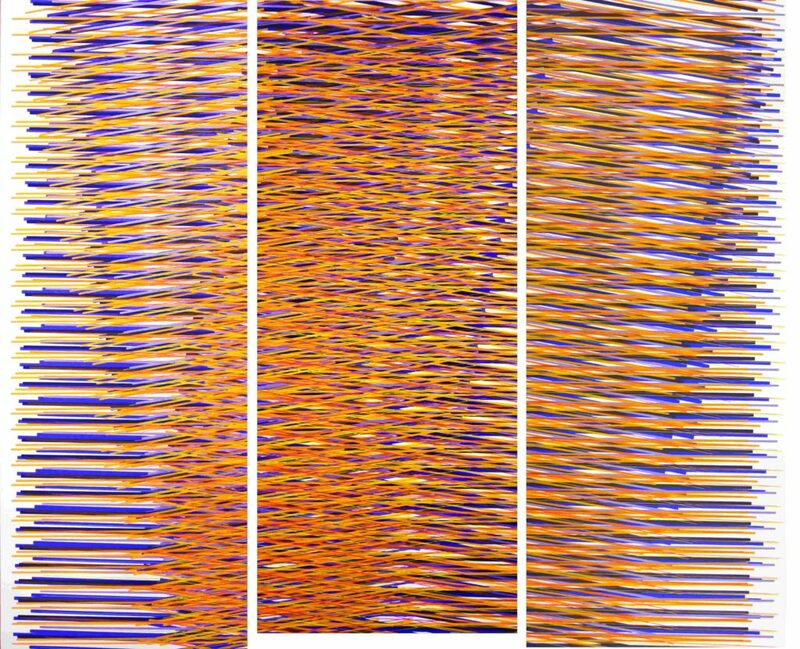 Three screens with lines of different thickness were used during their creation. 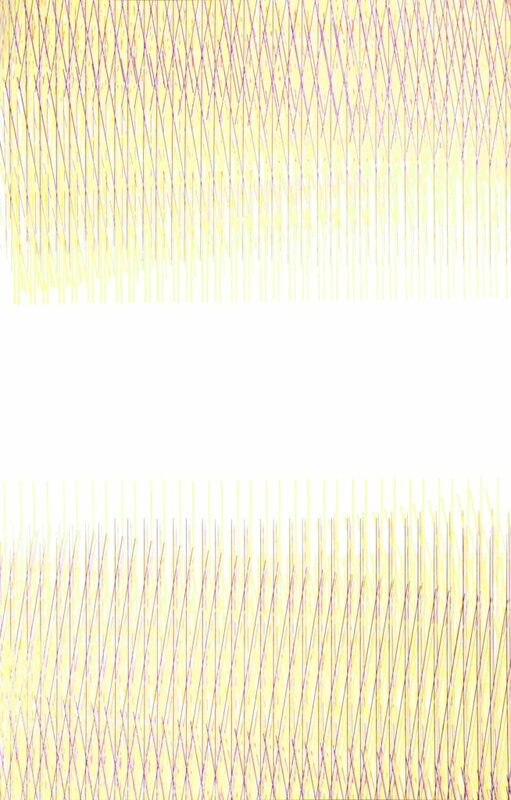 After they dried off, some of them were cut into two or multiple pieces, giving me more exhibiting options.